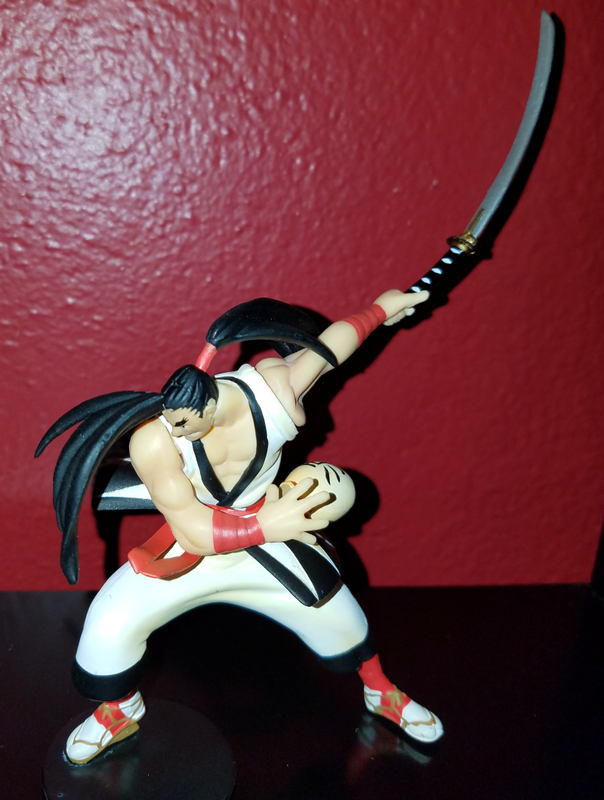 This Samurai Shodown Nakoruru figure stands about 4" inches tall and is fully assembled with base included. 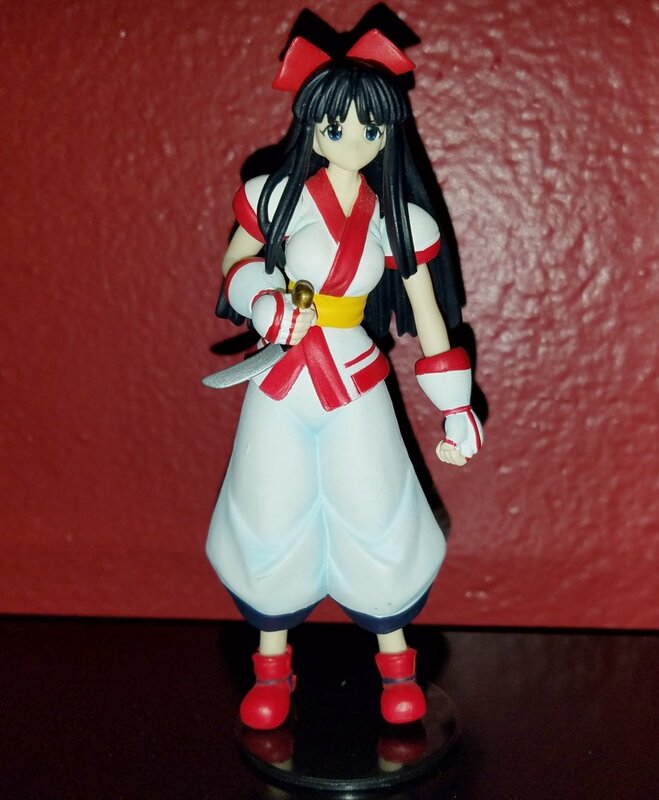 Nakoruru is holding her short sword / knife. 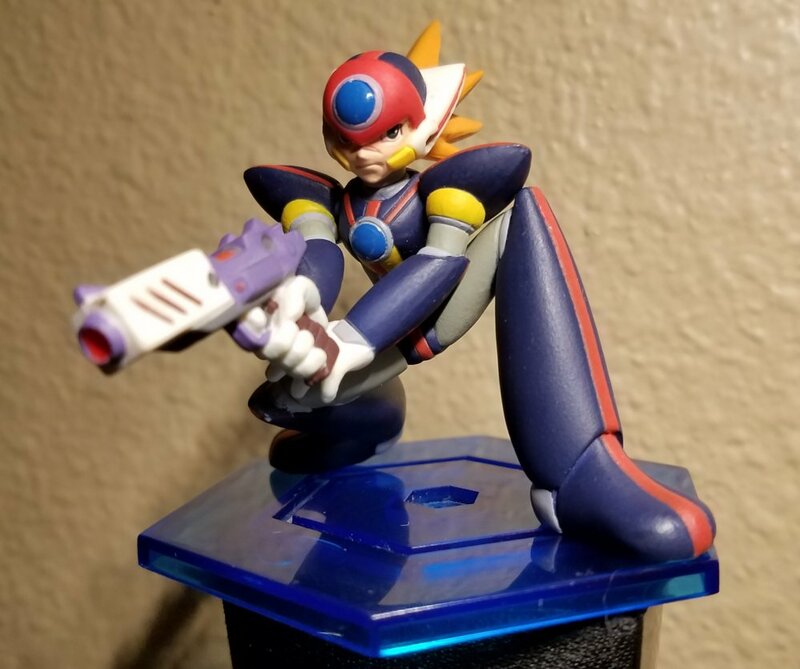 This is an EXTREMELY RARE and hard to find Axl figure by Yamato is based on his Megaman X8 appearance. 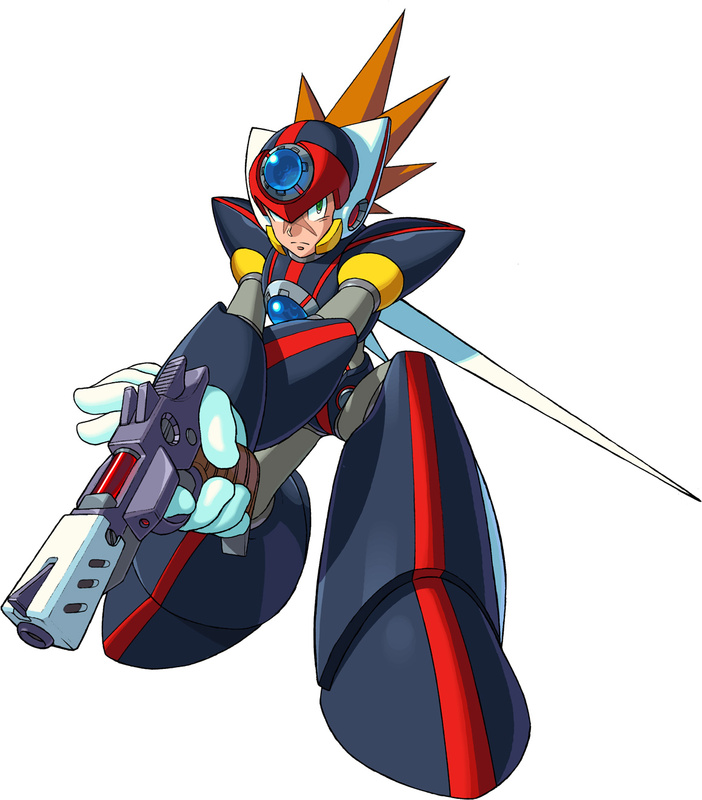 This Axl figure is about 2.5" inches tall in his crouching pose (based on official artwork below). Included is an attachable, stylized blue base. Condition: Excellent condition. Some parts of figure are cleanly super-glued in place. Packaging: Will be shipped assembled. Condition: Previously used for display only. Excellent condition. 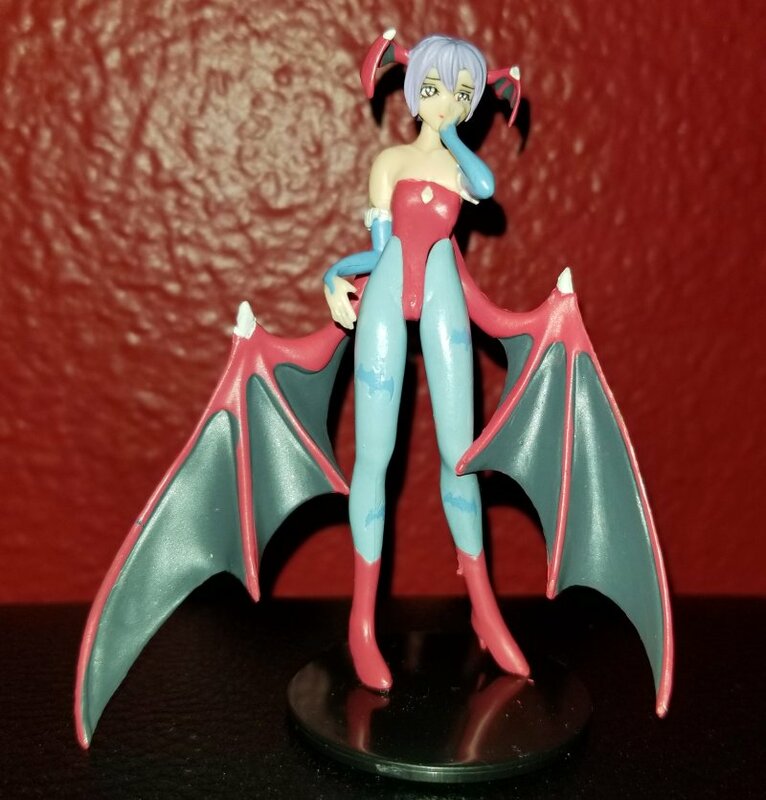 A small and particularly thin Lilith Aensland gashapon figure made by Yujin (fully assembled). 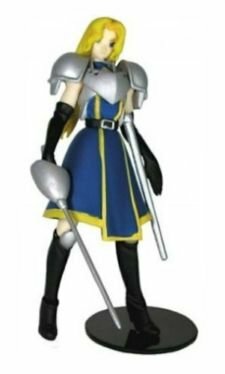 The figure stands 3" inches tall and includes base for easy standing. 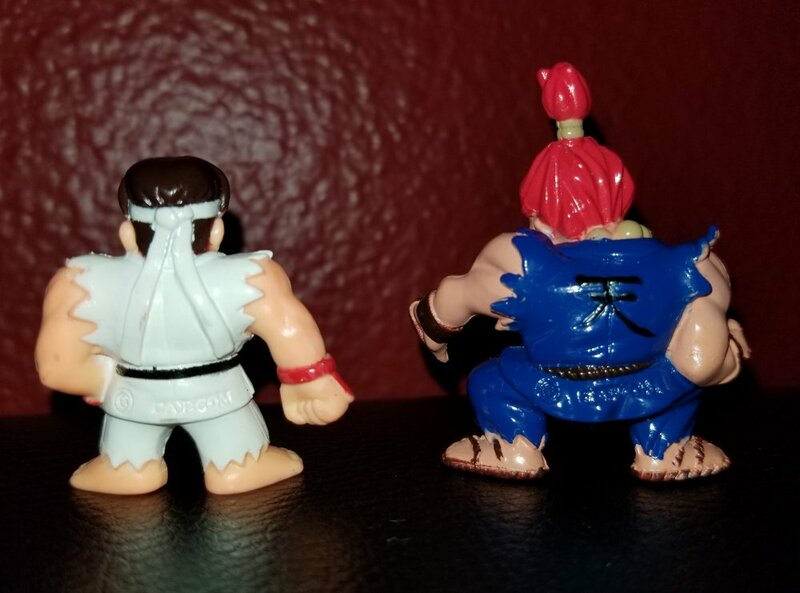 These hard-to-find "keychain-style" mini-figures of Ryu & Akuma are some of the earliest mini Street Fighter figures ever made. 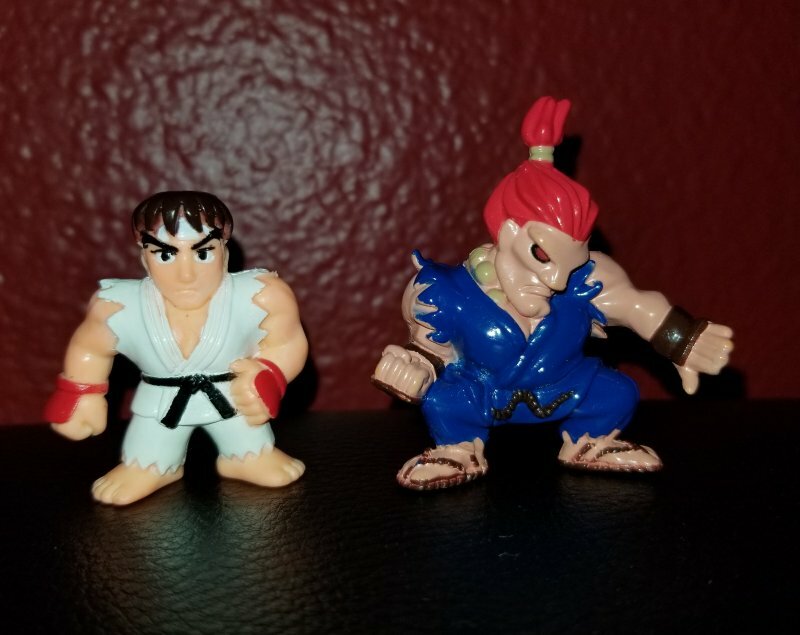 Akuma is about 2" inches tall and Ryu is 1.5" inches tall. 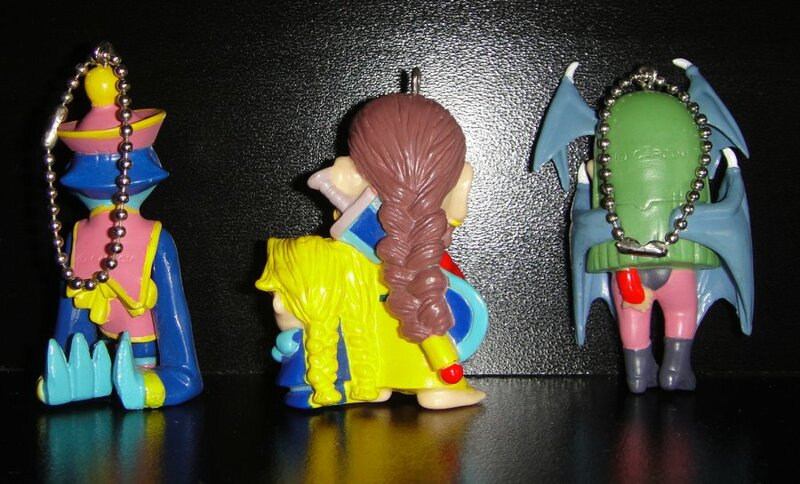 The word "Capcom" is inscribed on the back of each figure. Condition: Excellent condition. No loose parts! 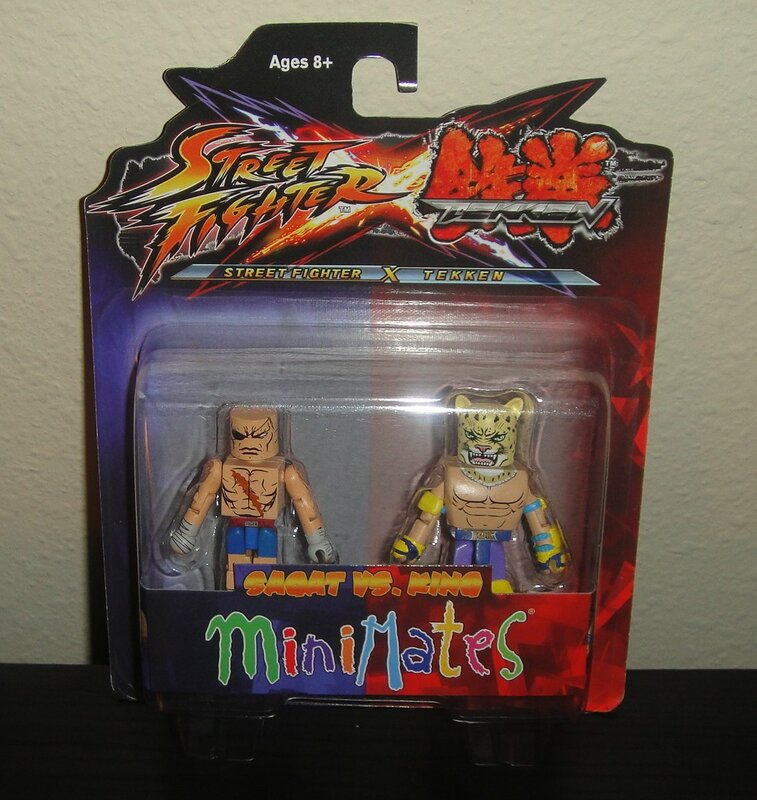 Packaging: No original packaging. 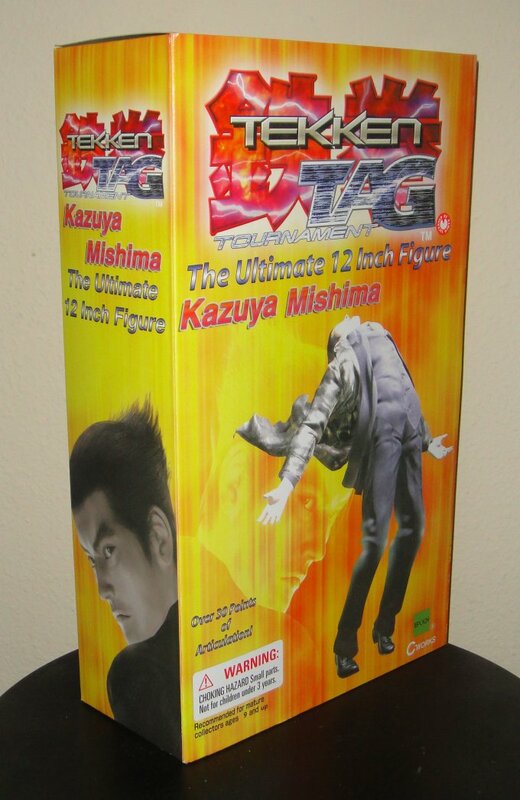 Figure will be shipped fully assembled. Condition: Excellent condition. No noticeable scuffs. Still shiny! 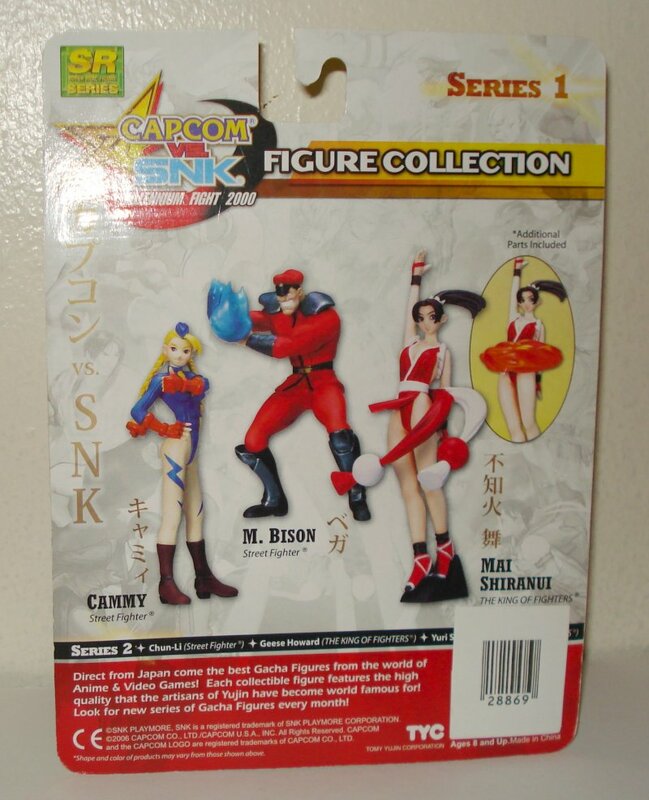 This 4" inch Cham Cham Gashapon is from SNK's SR Figure collection featuring females from the Samurai Shodown series. 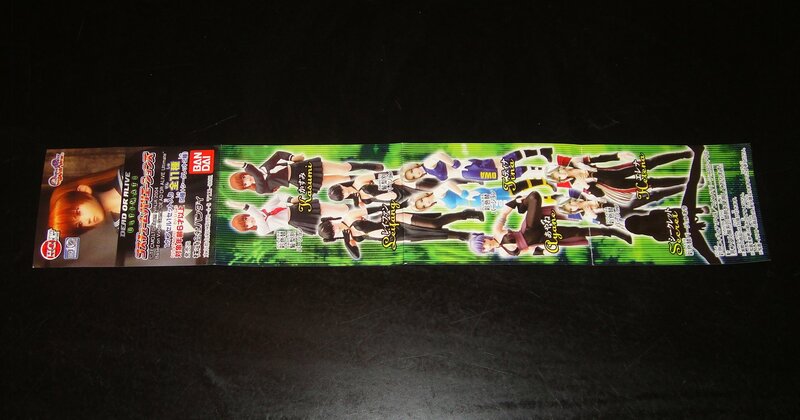 The item available for purchase is the capsule version, sealed and unassembled. 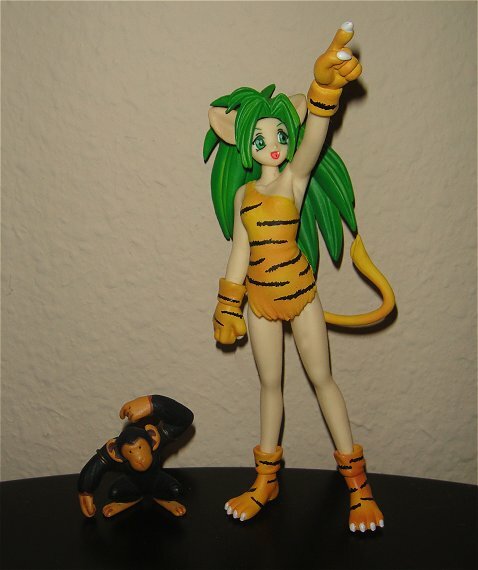 Package includes Paku Paku (the monkey), base and paper insert. *Restocked! 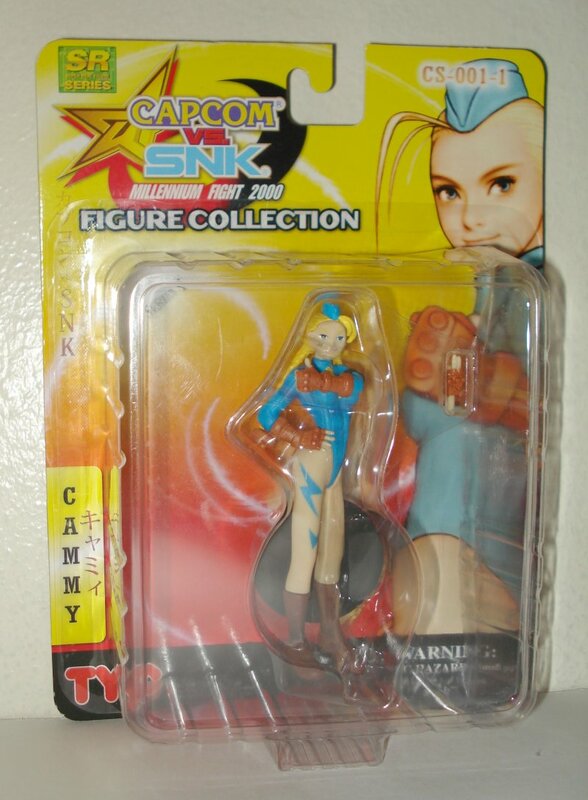 * Here's a cool 4" Charlotte Colde Gashapon from SNK's SR Figure collection featuring females from the Samurai Shodown series. 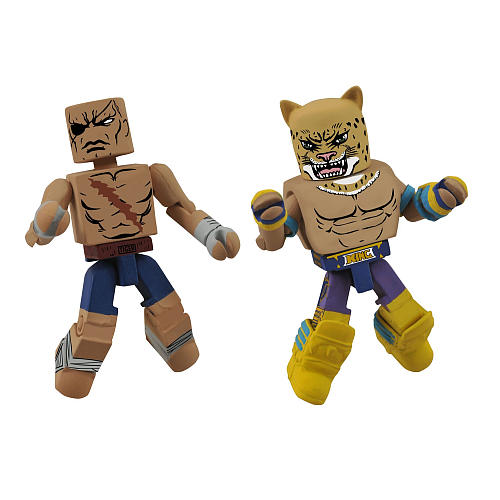 The item available for purchase is the capsule version, sealed and unassembled Package includes base and paper insert. 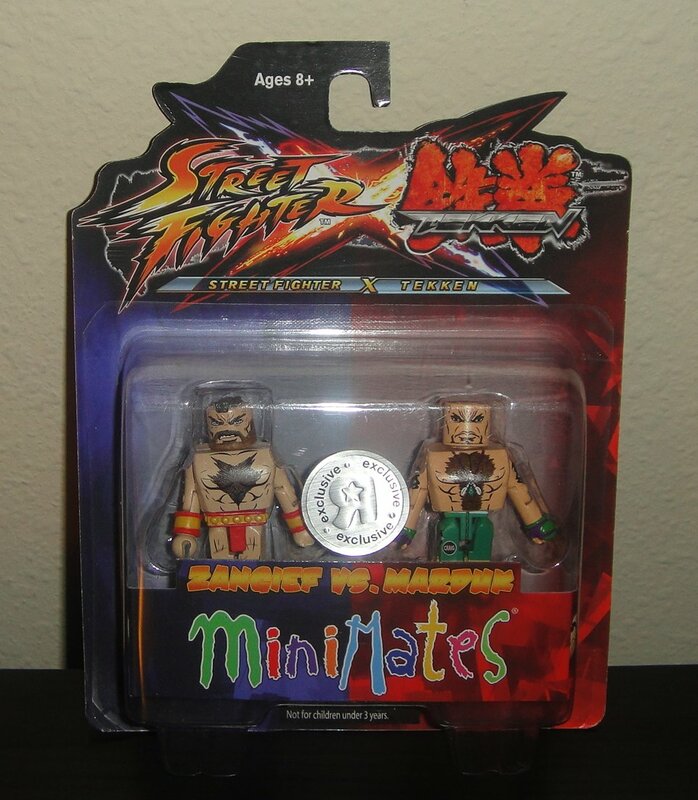 Condition: 100% Mint - sealed in original packaging. 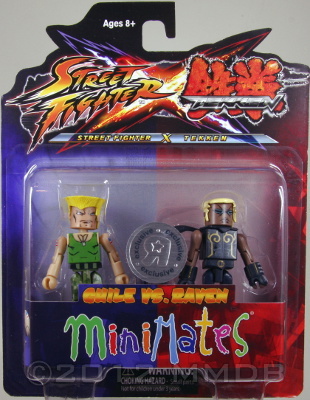 Packaging: Original (unopened). 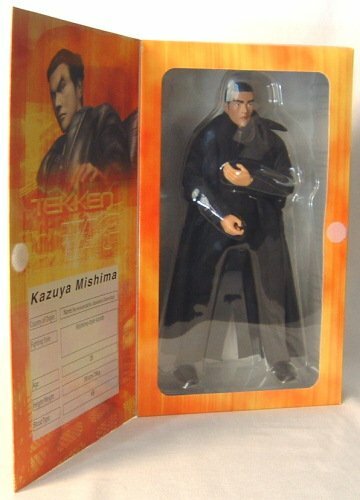 Figure will be shipped unassembled. *Price Cut! 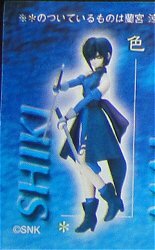 * From SNK's Real Figure Collection, this RARE Shiki gashapon figure stands around 4" inches tall. 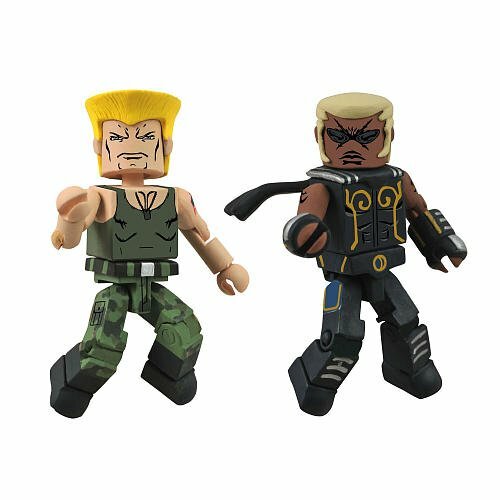 The item available for purchase is the capsule version, sealed and unassembled in its original packaging. 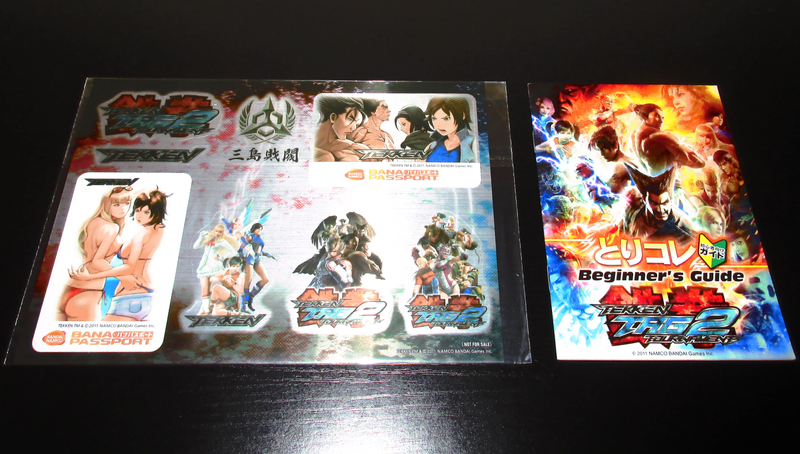 Package also includes base and paper insert. 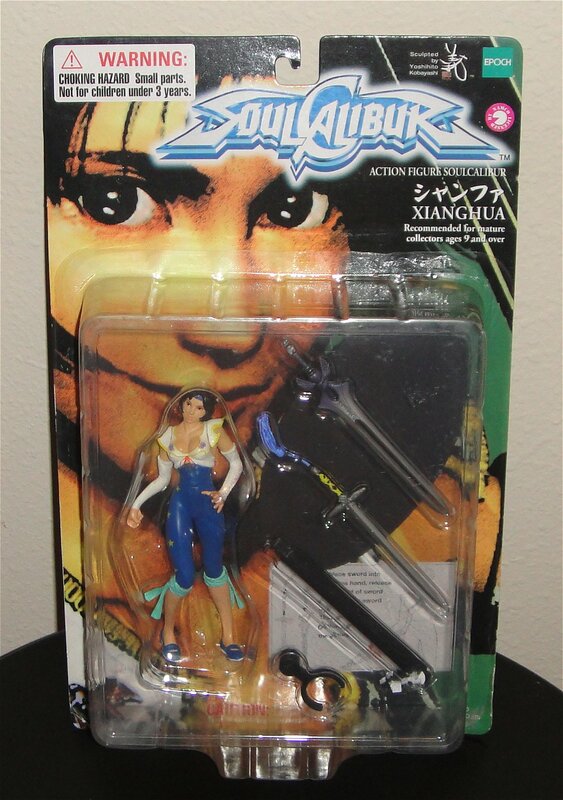 VERY RARE figure! *Price Cut! 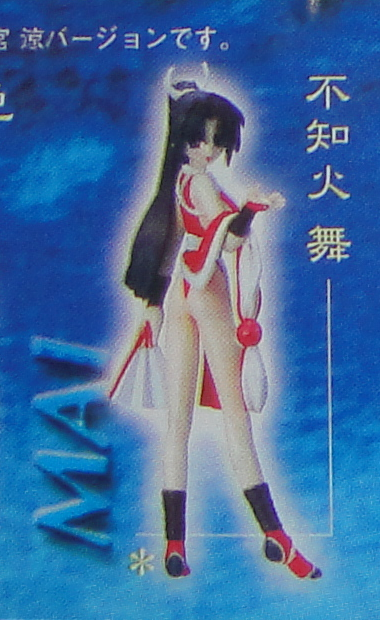 * From SNK's Real Figure Collection, this RARE Mai gashapon figure stands around 4" inches tall. 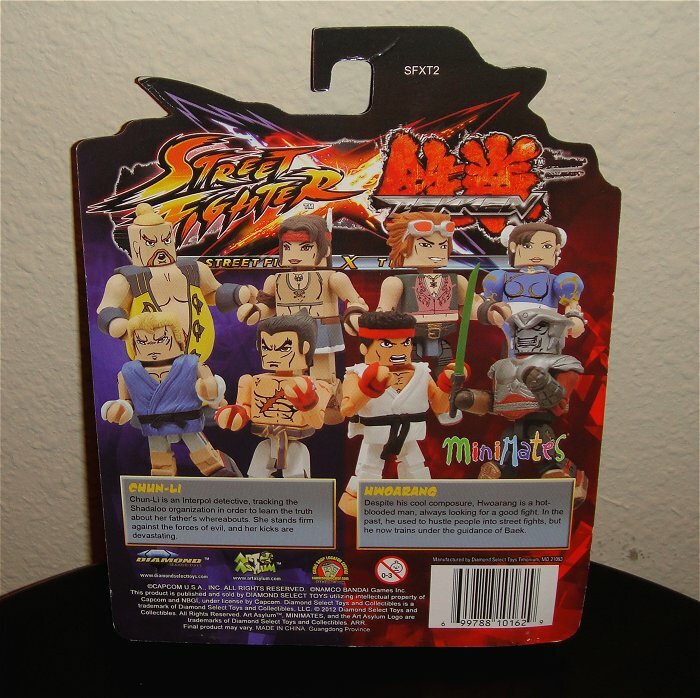 The item available for purchase is the capsule version, sealed and unassembled in its original packaging. 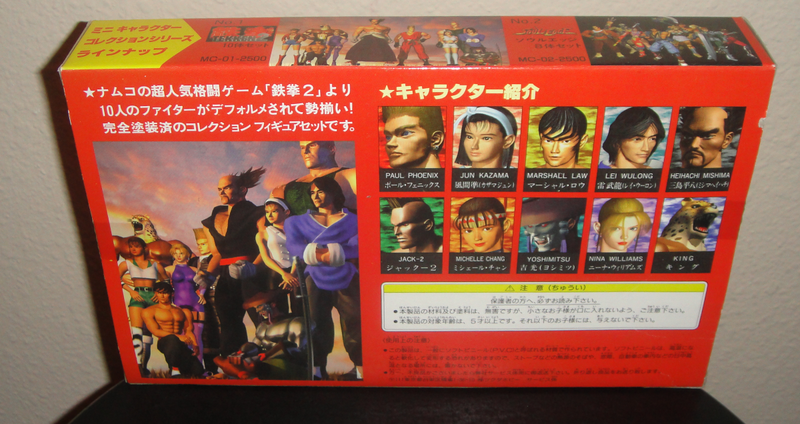 Package also includes base and paper insert. 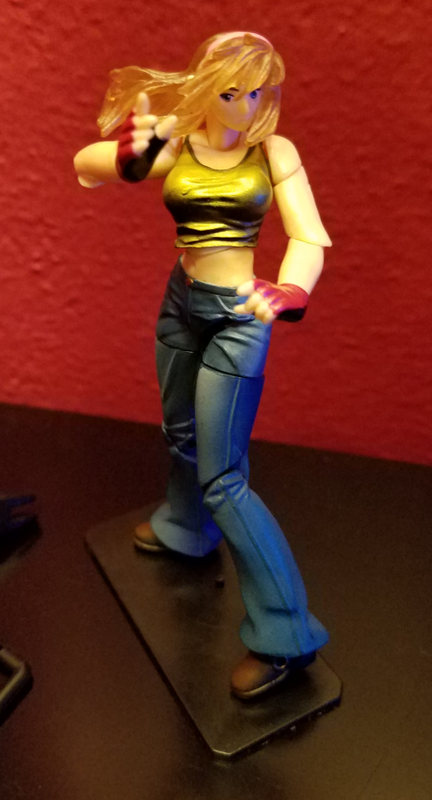 RARE figure! 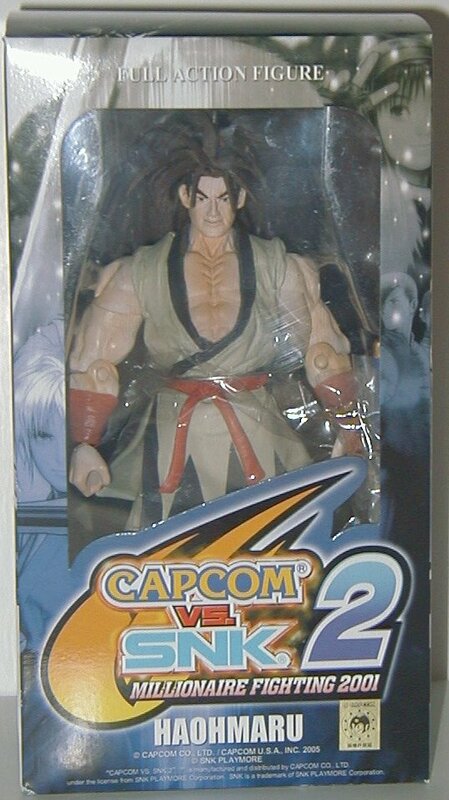 Condition: Item is sealed in original plastic packaging. Mint condition. 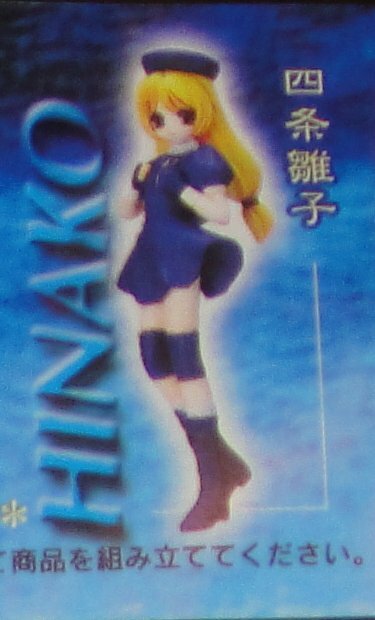 From SNK's Real Figure Collection, this Hinako gashapon figure stands about 4" inches tall. 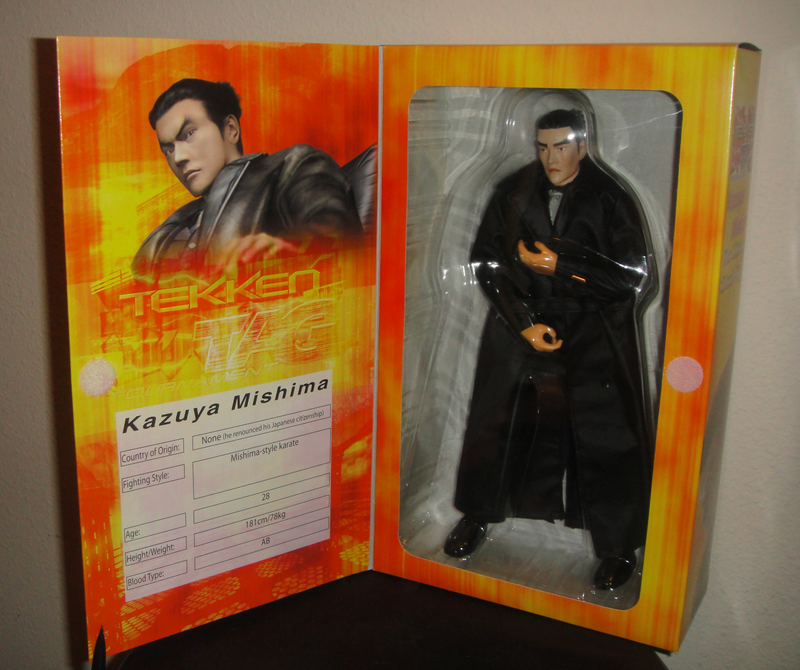 The item available for purchase is the capsule version, sealed and unassembled in its original packaging. 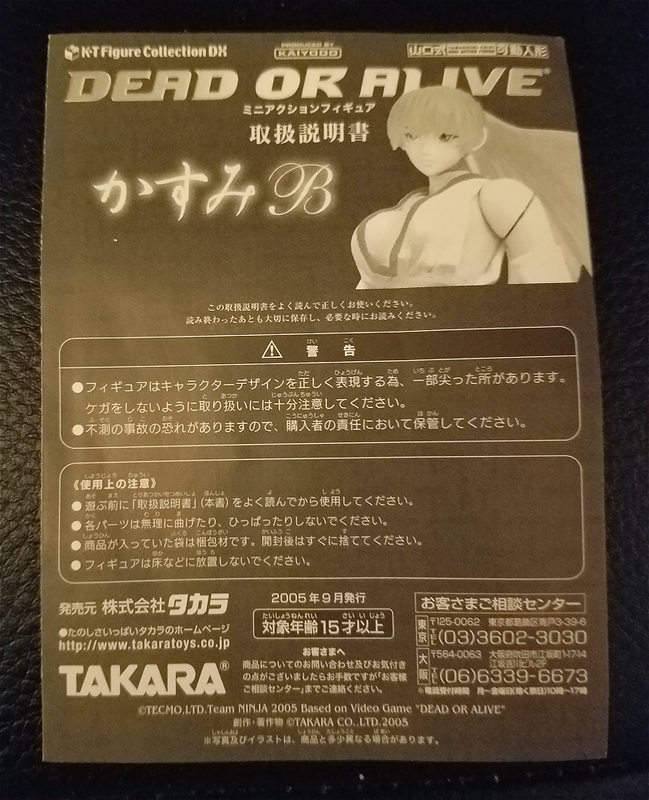 Package also includes base and paper insert. *Restocked! 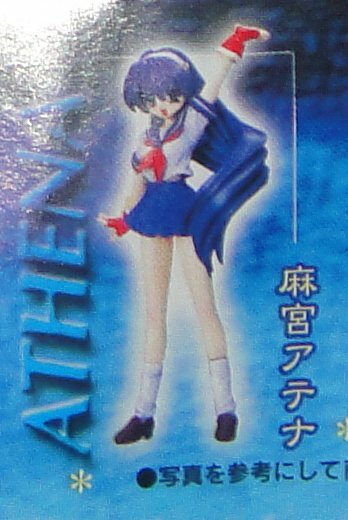 * From SNK's Real Figure Collection, this "schoolgirl" Athena gashapon figure stands a little over 4" inches tall. 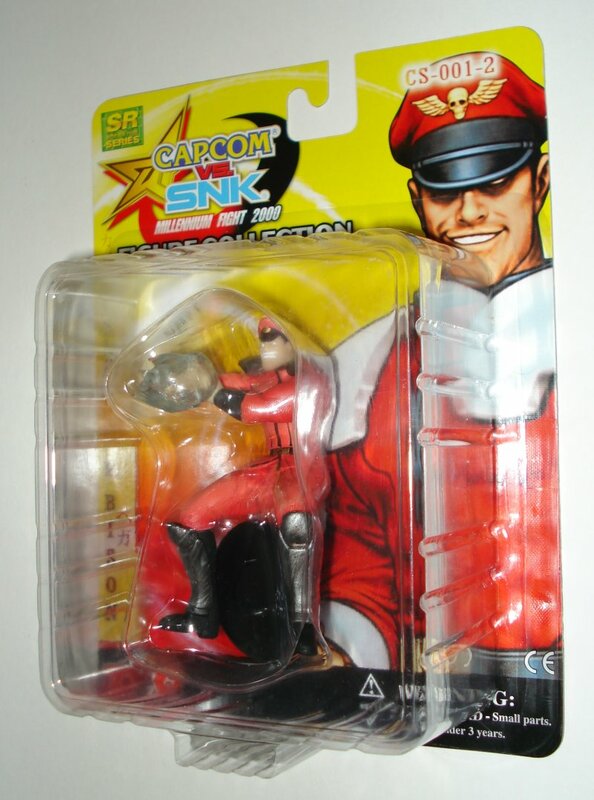 The item available for purchase is the capsule version, sealed and unassembled in its original packaging. 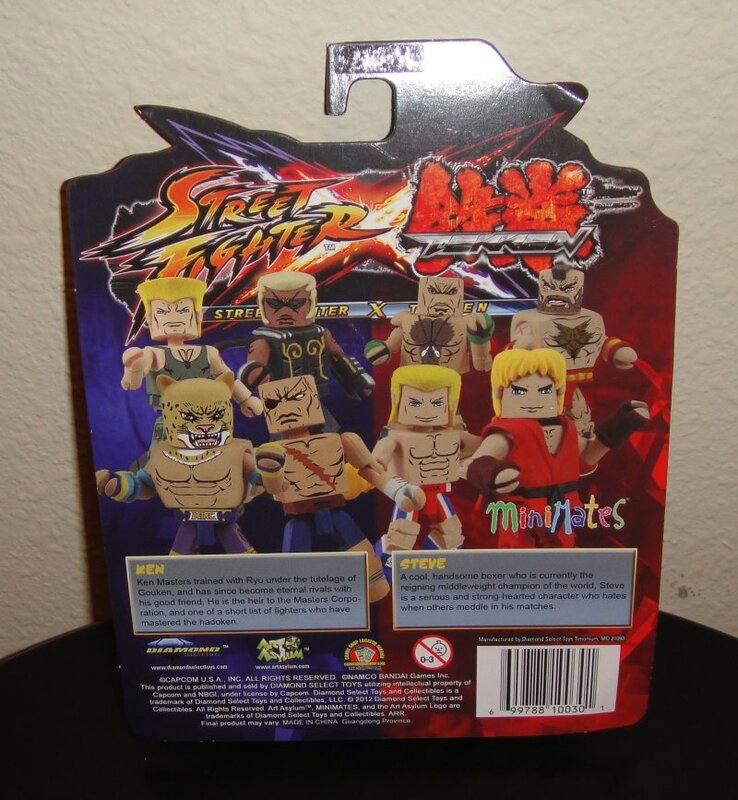 Package also includes base and paper insert. 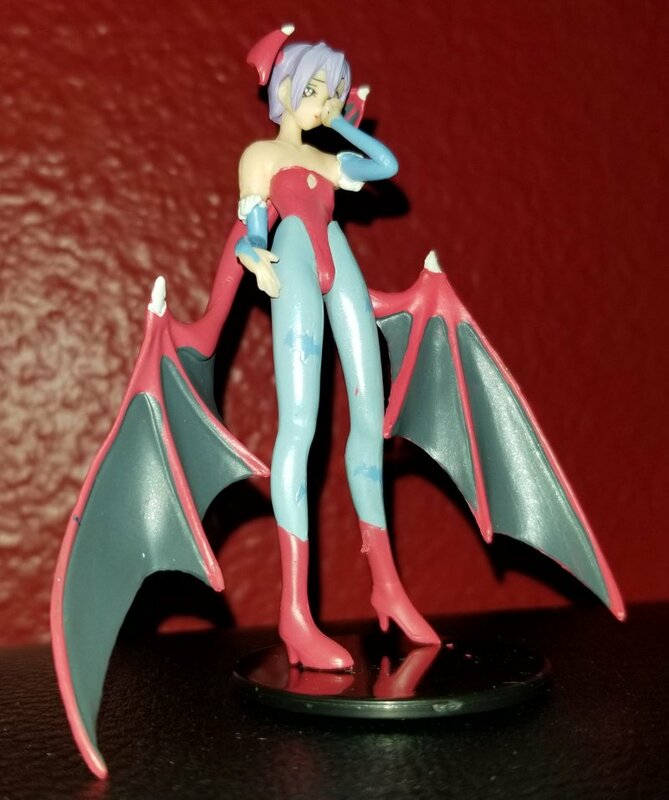 Pretty RARE figure! 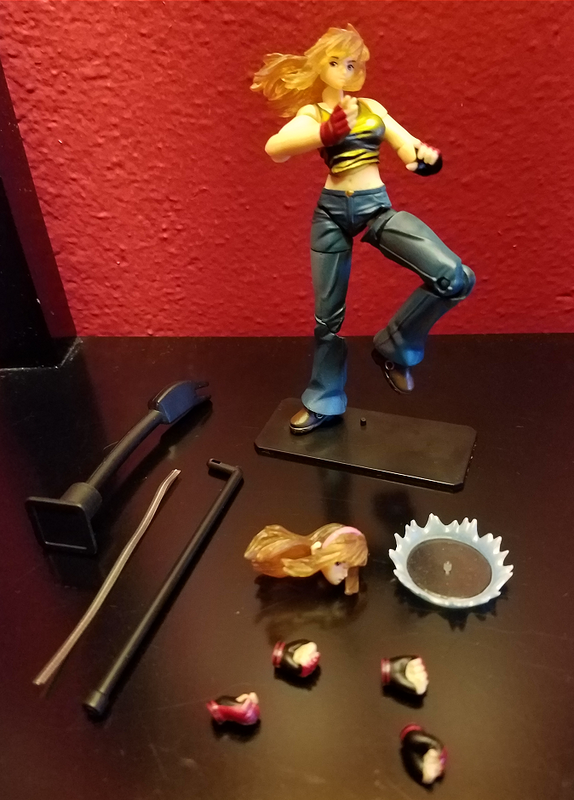 This highly detailed DOA Ultimate Helena gashapon figure stands at about 4.5" inches tall. 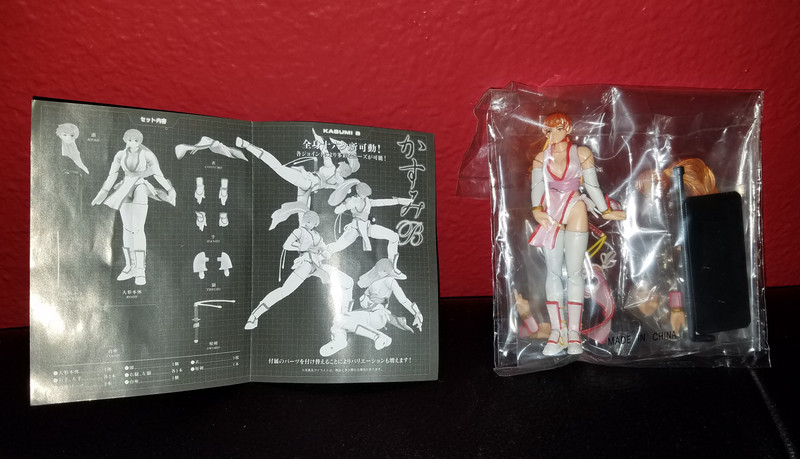 Figure comes with base and original paper insert. 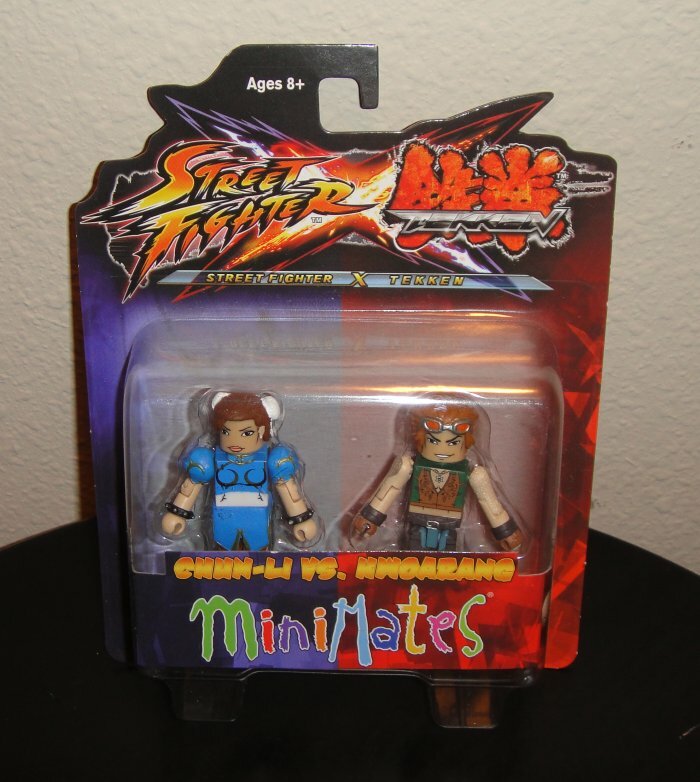 This highly detailed DOA Ultimate Lei Fang gashapon figure stands at about 4.5" inches tall. 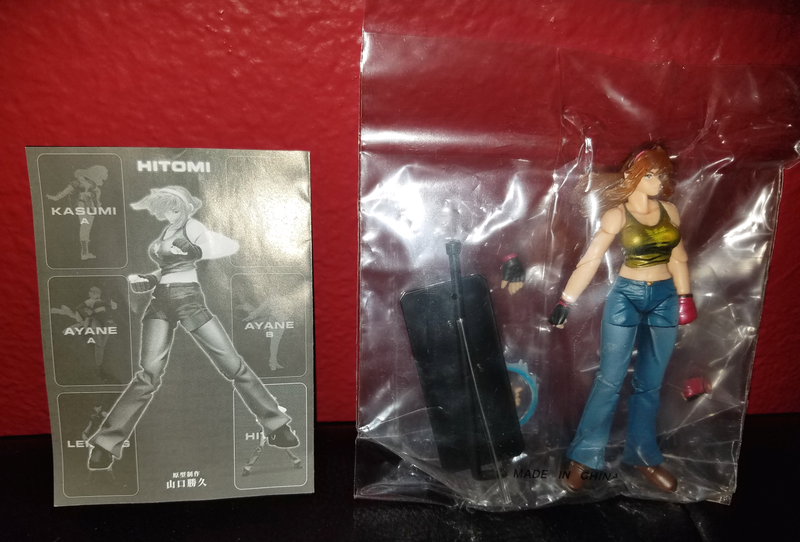 Figure comes with base and original paper insert. 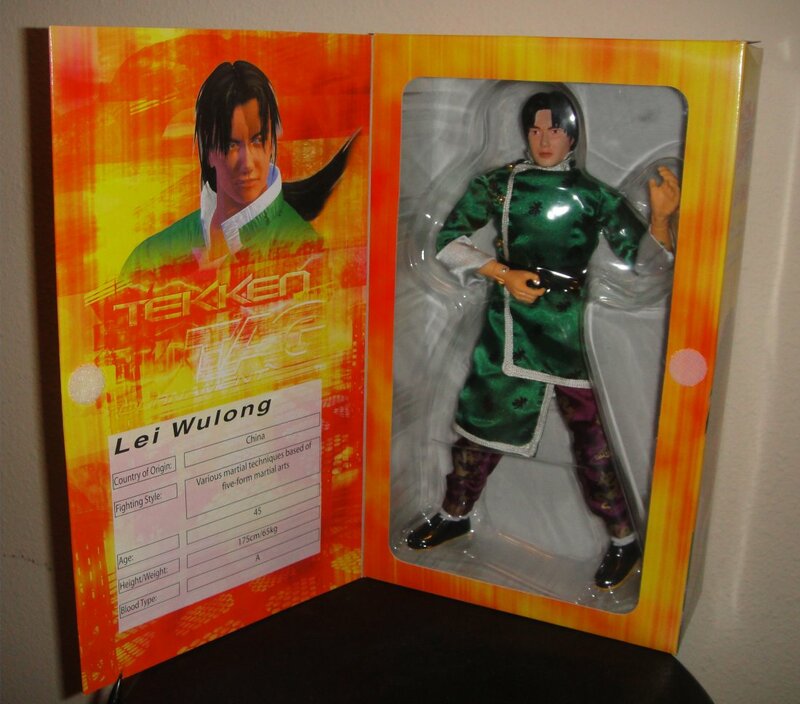 Condition: Figure is in excellent, near perfect condition. 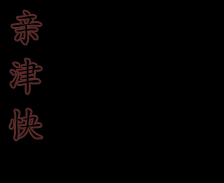 Used for display only. 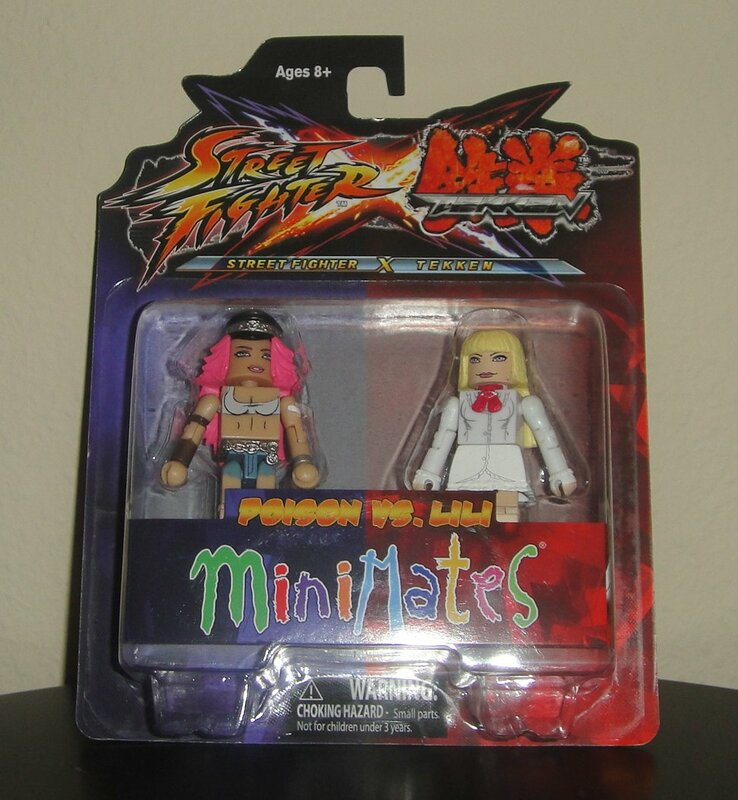 Packaging: No original packaging. Will be shipped unassembled in plastic / bubble wrap. 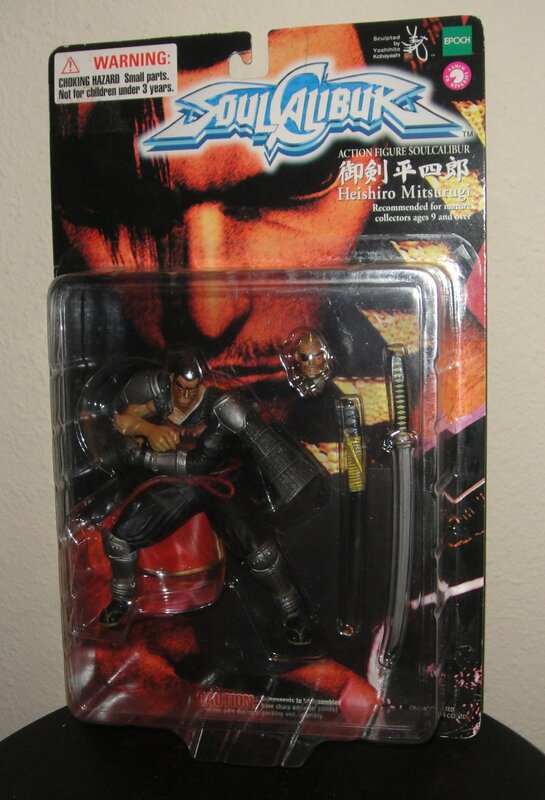 This 7" inch tall Yoshimitsu figure is from Epoch's 1999 line of figures based on Tekken 3. 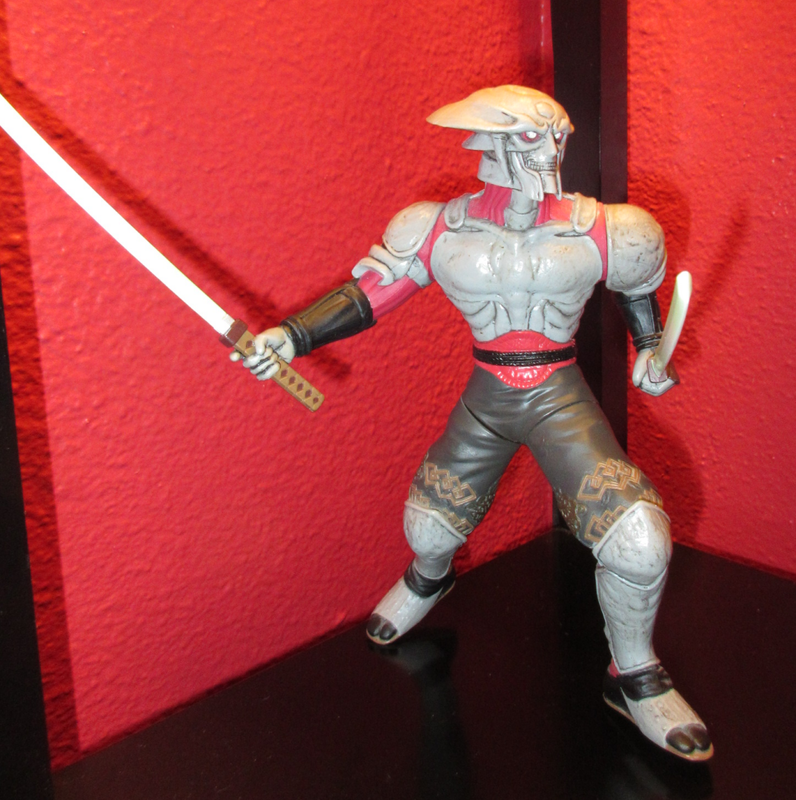 This opened Yoshimitsu figure comes with 2 swords, no base. 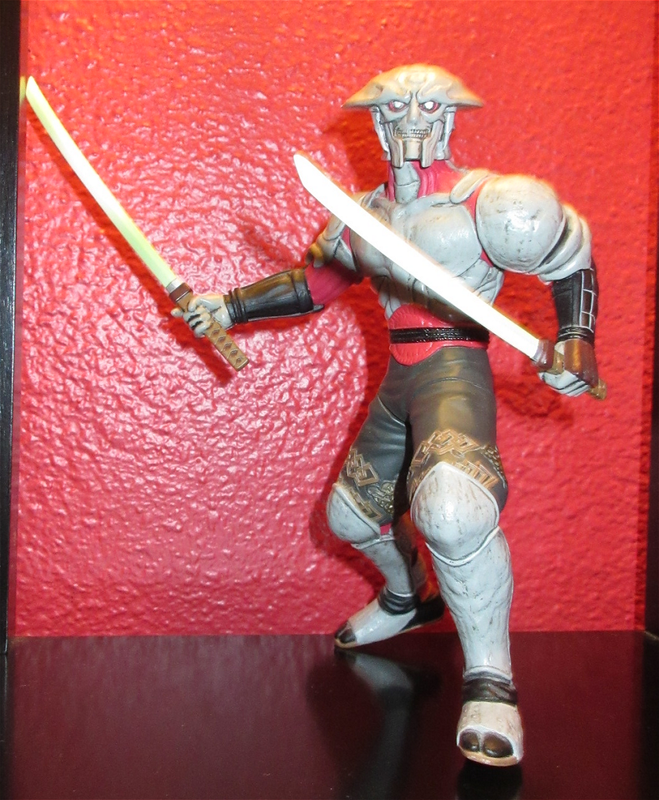 Yoshimitsu is one of the more hard-to-find figures from this Epoch line. 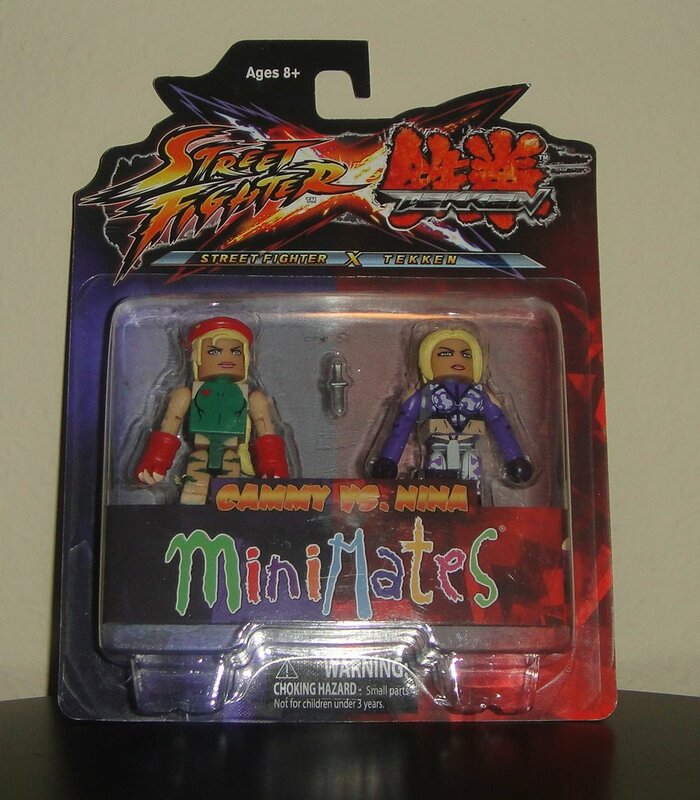 This highly detailed DOA Ultimate Lei Fang gashapon figure stands at about 4.5" inches tall. 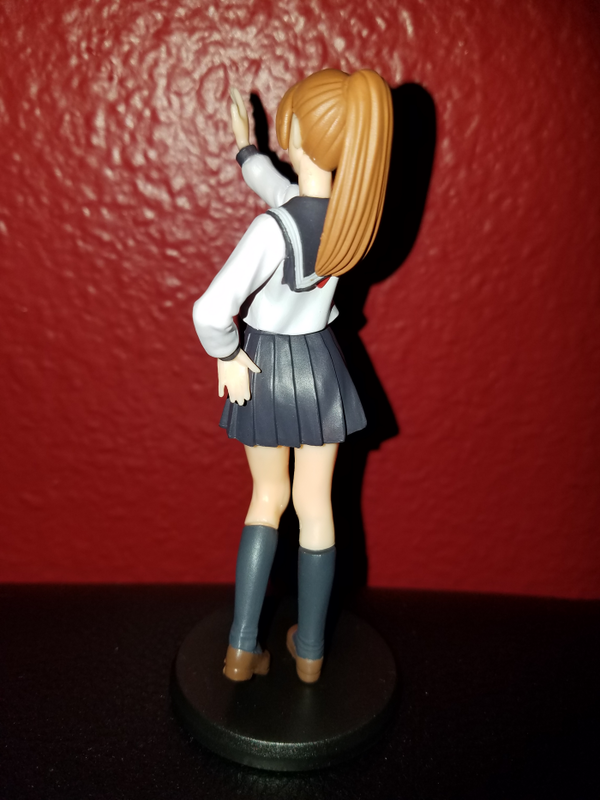 Figure comes with base and detachable leg support (for easier standing). Condition: Used for display only. Excellent condition, hardly any signs of wear. Condition: Opened from packaging to take the above pictures only. Mint condition. 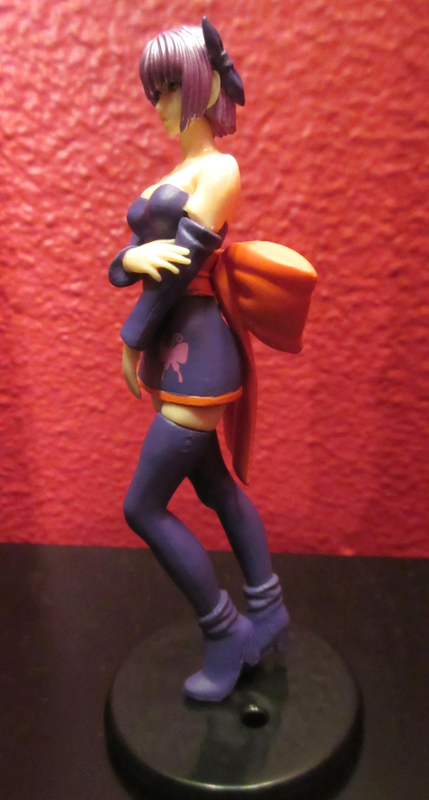 Here's a RARE Dead or Alive poseable Kasumi figure made by Takara. 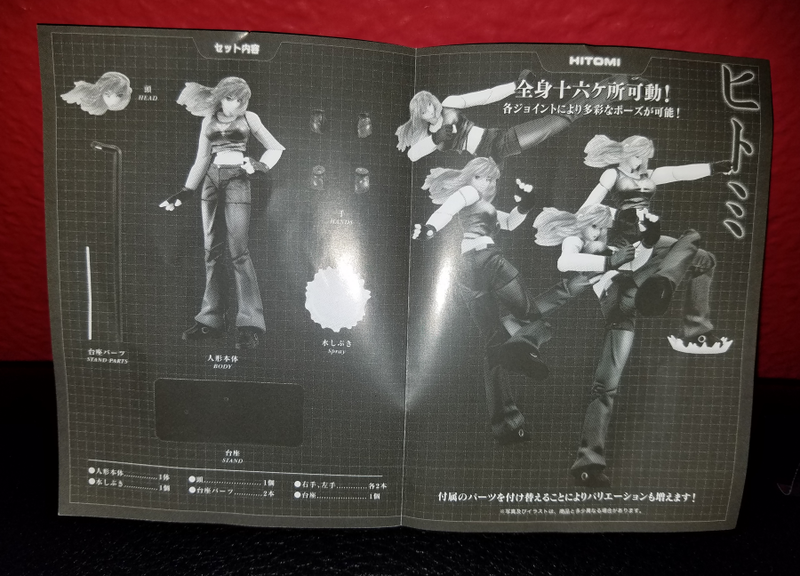 This fully-poseable figure can hit a wide variety of poses, as shown in the pamphlet (also included). 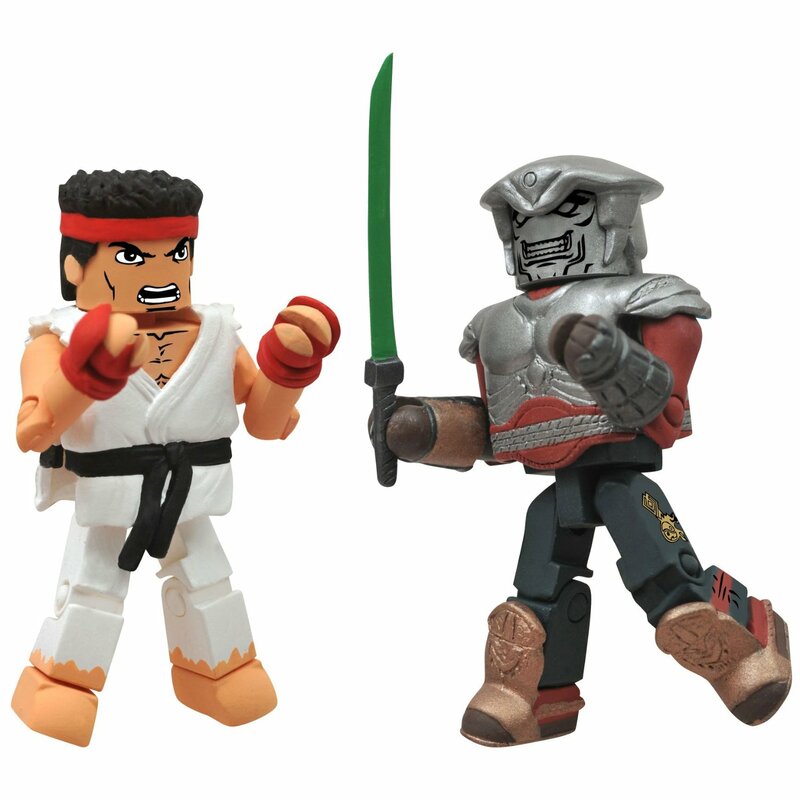 Figure stands just under 4" inches tall and comes with several alternate hands & head. Condition: 100% brand new, sealed in package. 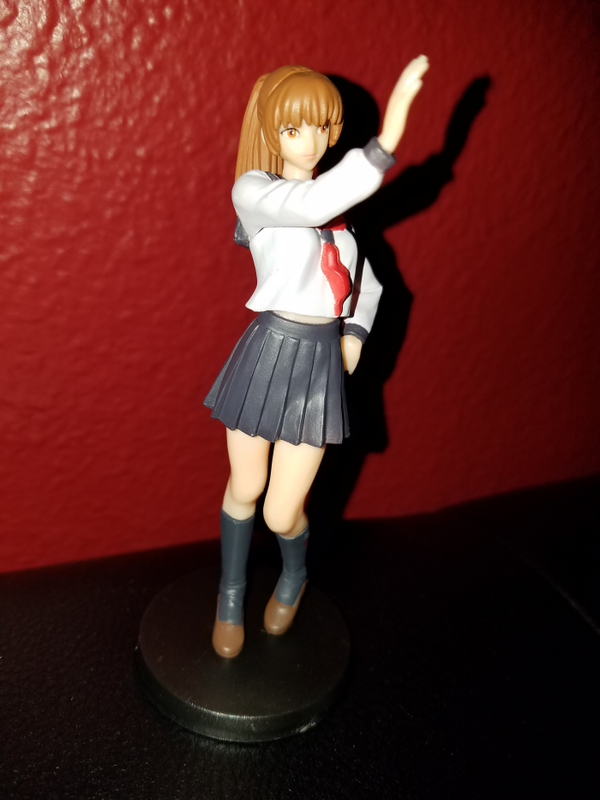 This Dead or Alive Kasumi figure is based on her schoolgirl alternate outfit and stands about 4" inches tall. Includes base to stand on. 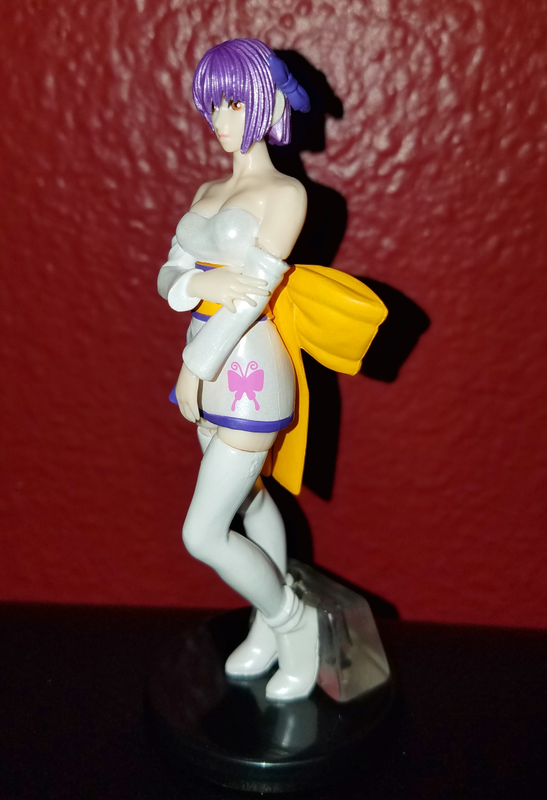 This highly detailed DOA Ultimate Ayane gashapon figure stands at about 4" inches tall. 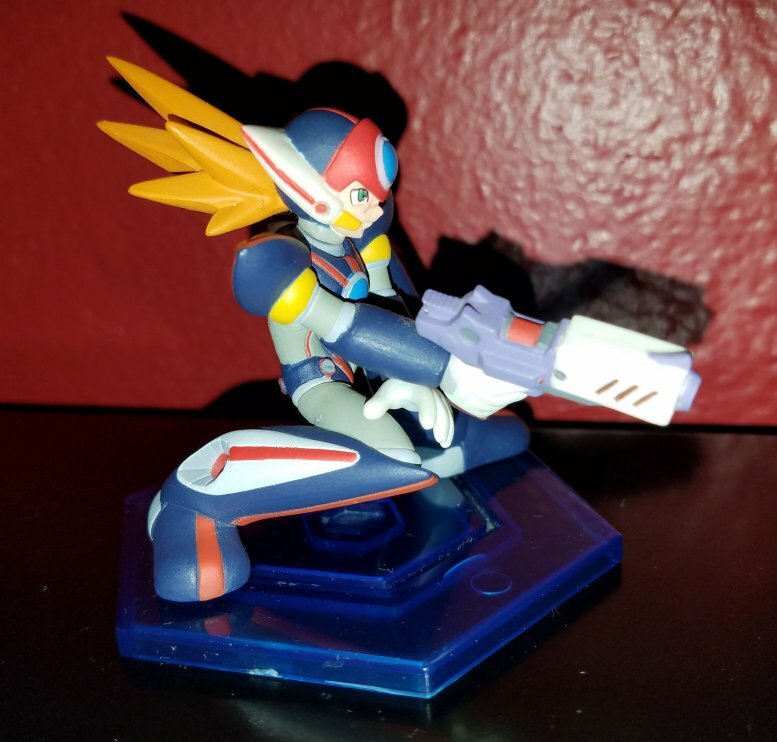 Figure comes with base and detachable leg support (for easier standing). 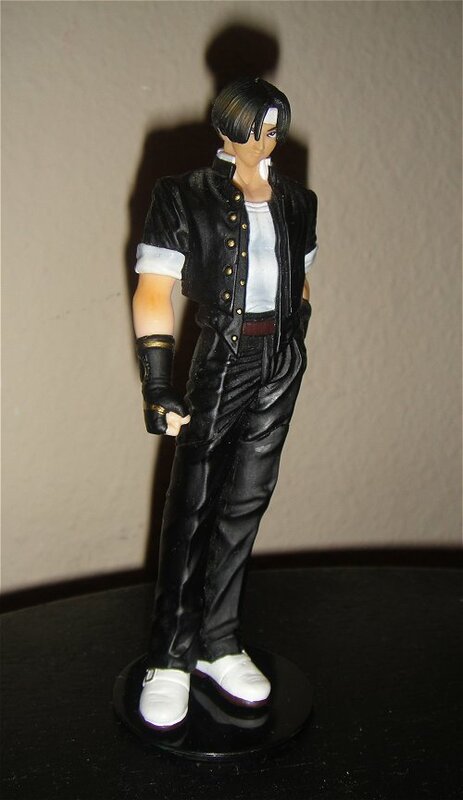 This is the alternate "white" version of the figure. Condition: Very good condition. Used for display only. Condition: Like new condition. Used for display only. 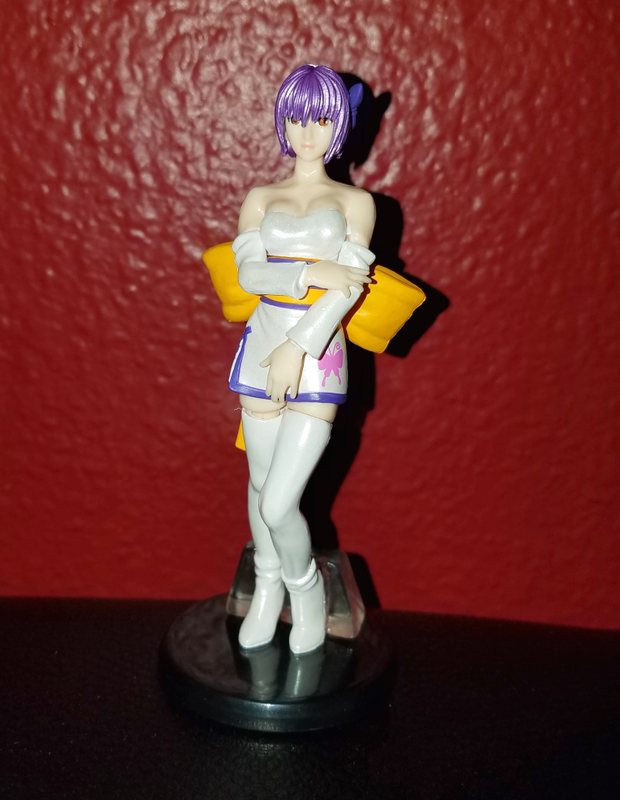 This highly detailed DOA Ultimate Ayane gashapon figure stands at about 4" inches tall. 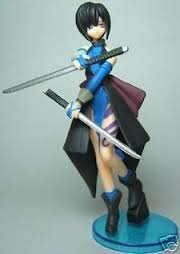 Figure comes with base and detachable leg support (for easier standing). 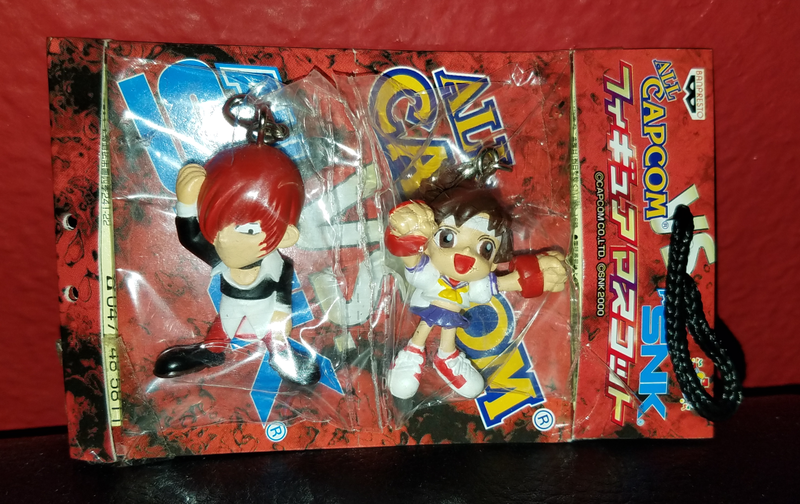 Super Puzzle Fighter 2 Turbo Figures - "Lot of 3 Darkstalkers" Capcom Girls Collection Lot - "Chun-Li, Lilith & Ingrid"
Here's a special offer on 3 RARE Super Puzzle fighter 2 Turbo key-chain figures. 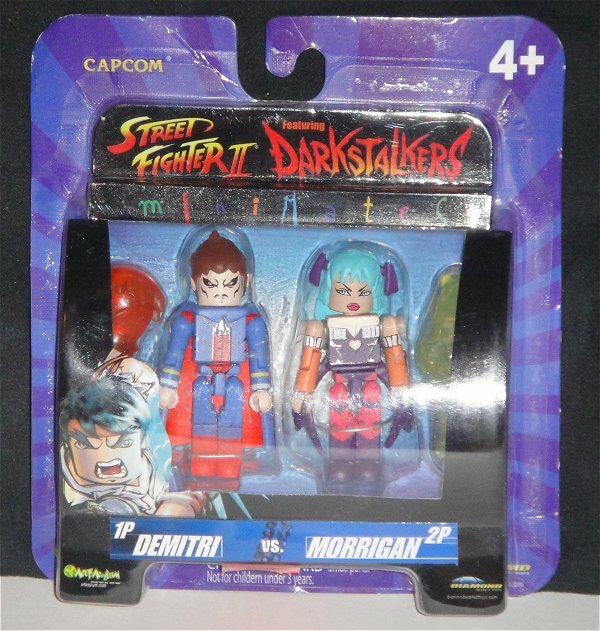 This lot includes Morrigan (very rare), along with Hsien-Ko & Donovan / Anita. 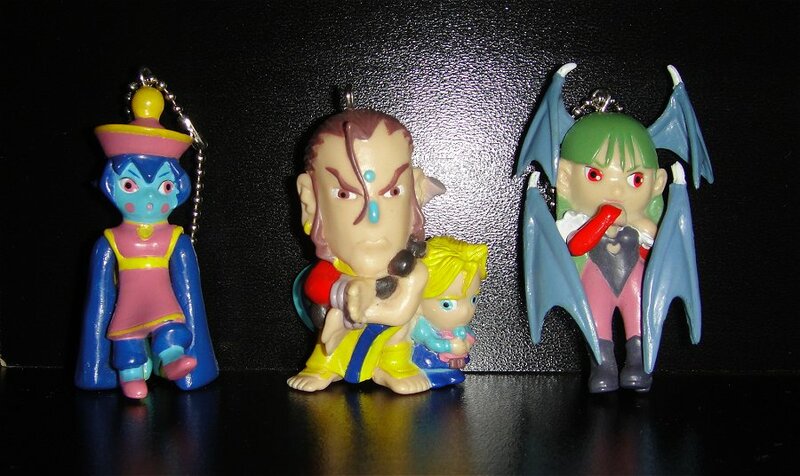 There are 11 figures total in the SPF2T key-chain figure set, so you can start off (or complete) your collection with these 3 fan-favorite Darkstalkers. 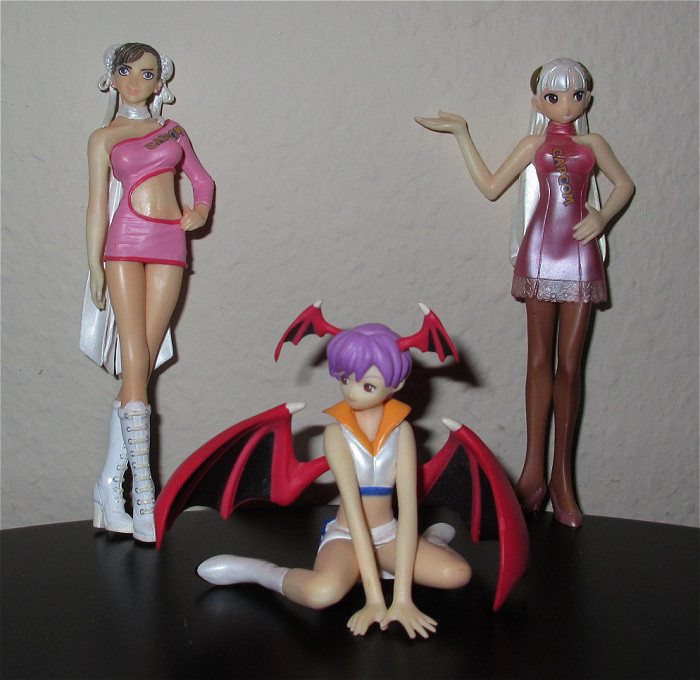 Here's a special lot featuring 3 beloved Capcom females from the Capcom Girls Collection Gashapon figure series. 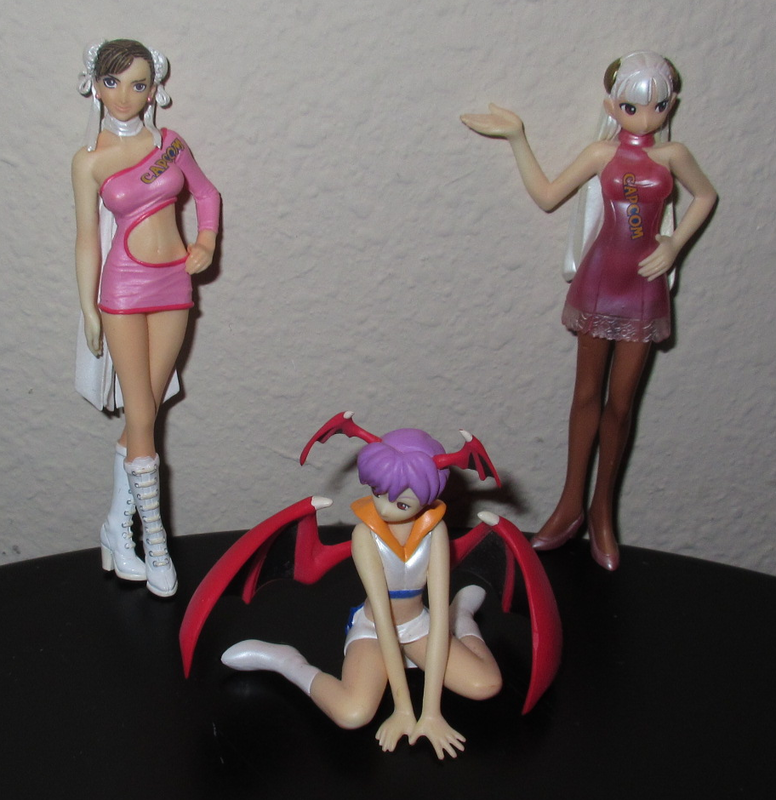 The figures include Chun-Li, Lilith and Ingrid (alt. colors). 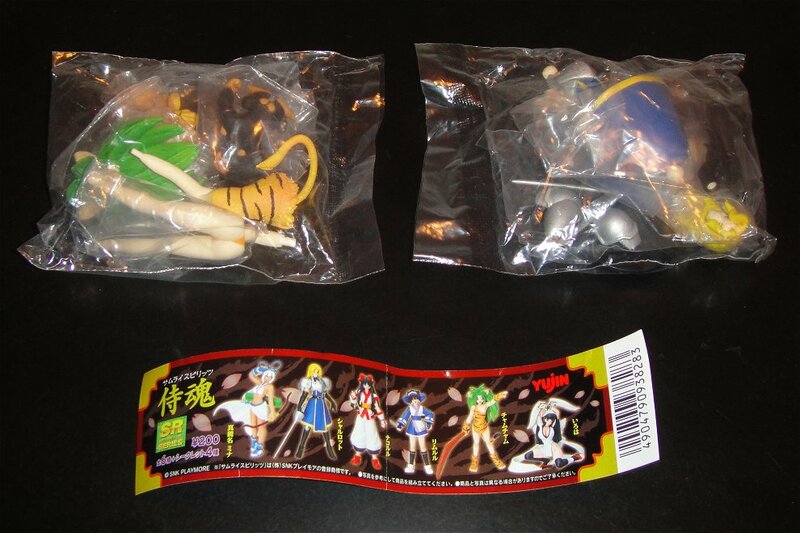 Figures come as they are with no stands or original packaging. 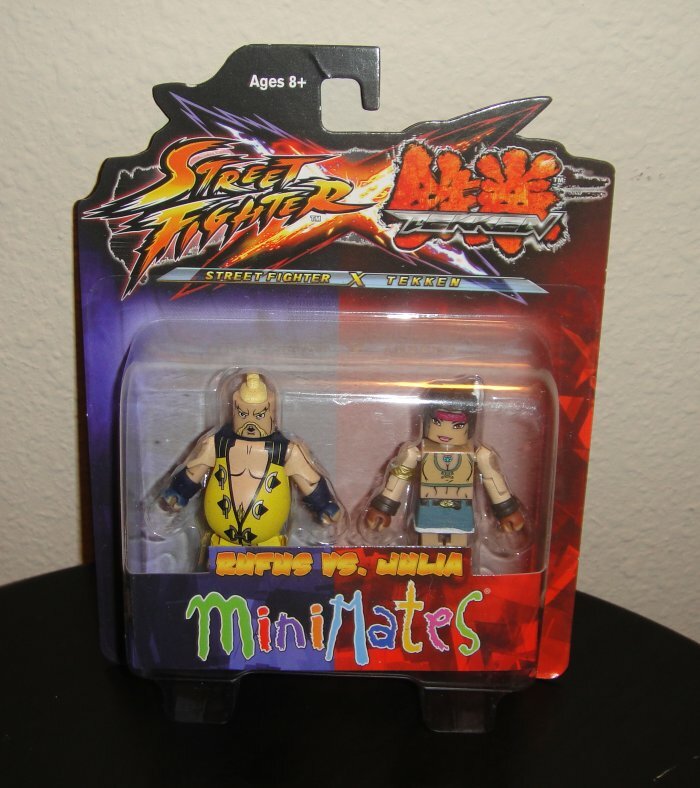 Condition: Figures were used for display only. Excellent condition. Packaging: No original packaging. Figures will be shipped securely in bubble wrap. 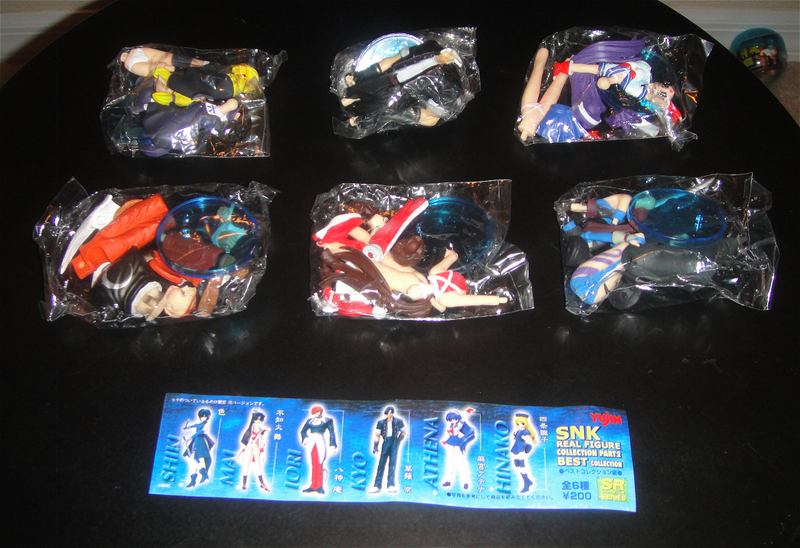 Condition: Figures were used for display only and are in great condition. 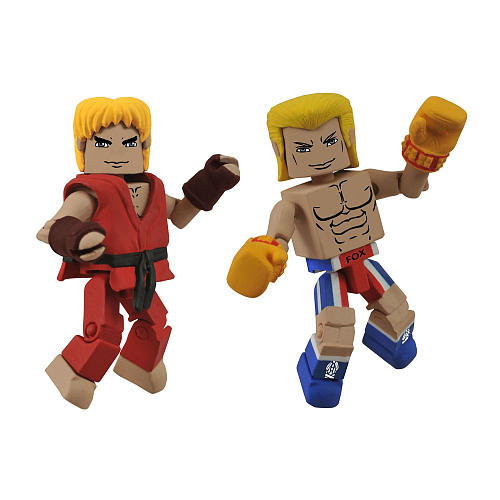 Designed and Sculpted by Art Asylum and produced by Diamond Select Toys, these Street Fighter X Tekken Minimates are awesome collectibles for fans of both franchises! 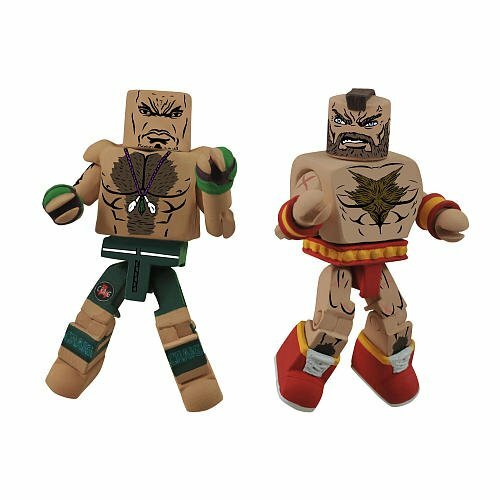 Designed and Sculpted by Art Asylum and produced by Diamond Select Toys, these Street Fighter X Tekken Minimates are awesome collectibles for fans of both franchises! 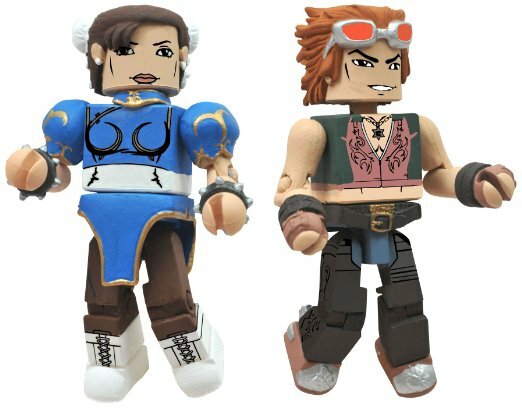 This set is originally a Toys R' Us exclusive. Condition: Box is in excellent, near mint condition. 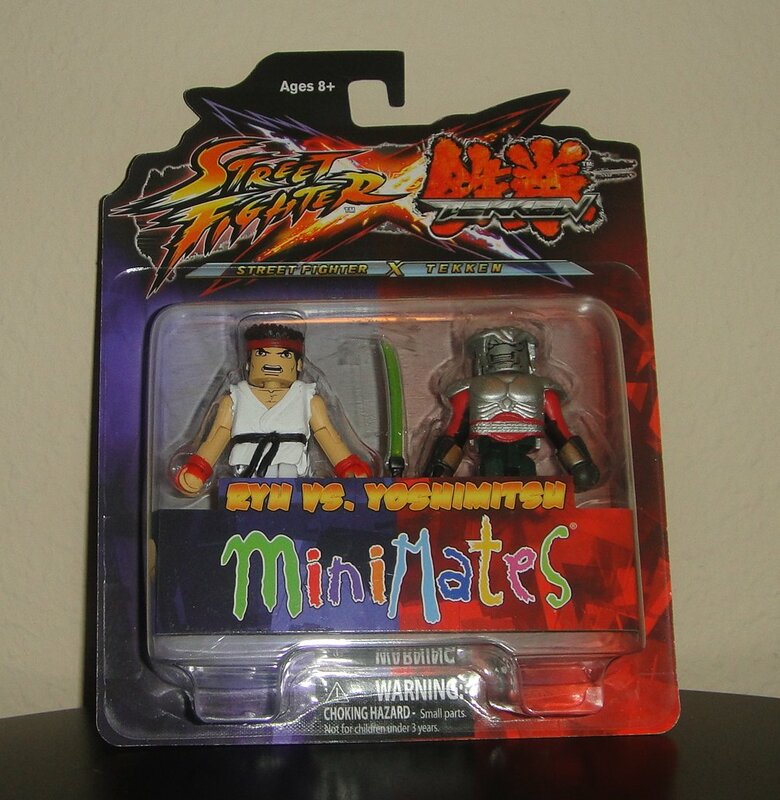 From the ORIGINAL line of Capcom Minimates! 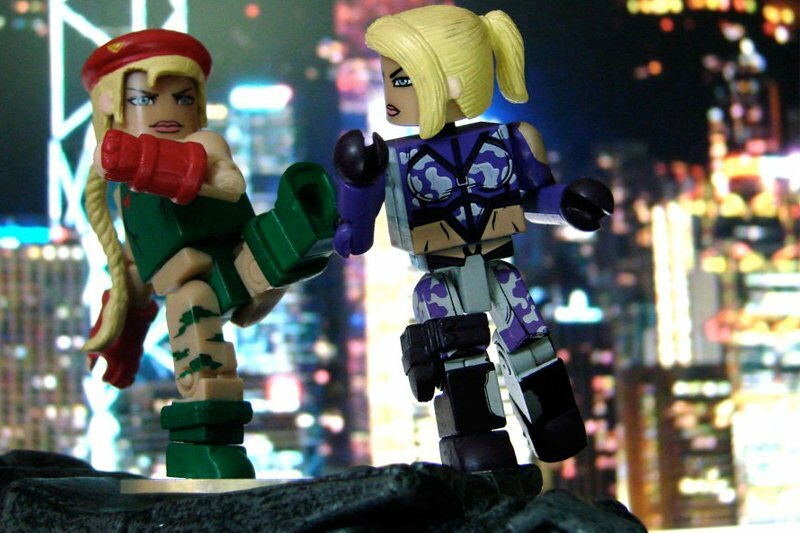 Demitri and Morrigan have been crammed into 2-inch bodies, each with 14 points of articulation! 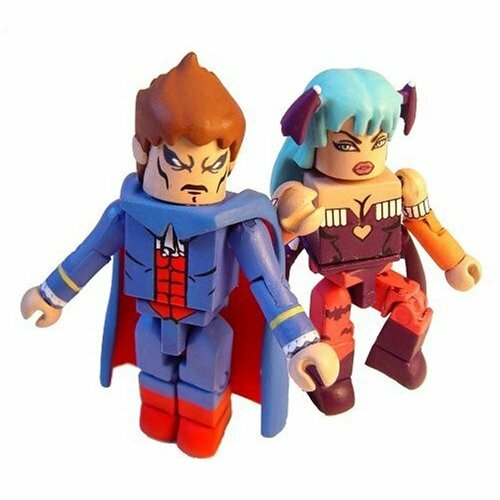 A must have collectable for any Darkstalkers fan! LOOSE VERSION ALSO AVAILABLE! 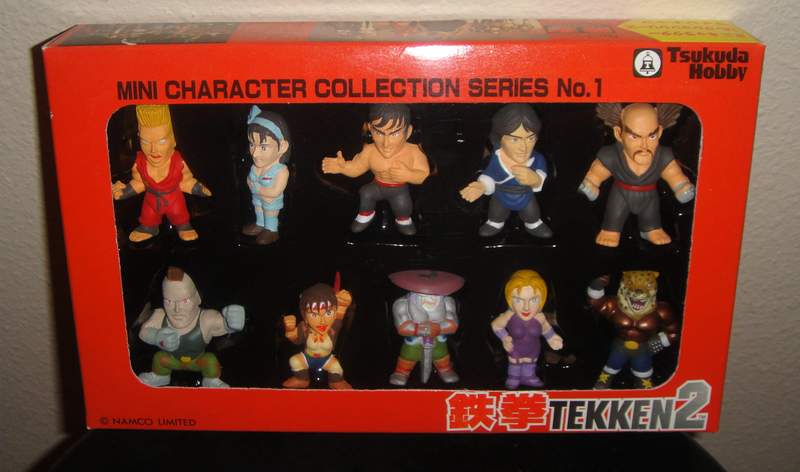 From the ORIGINAL line of Capcom Minimates! 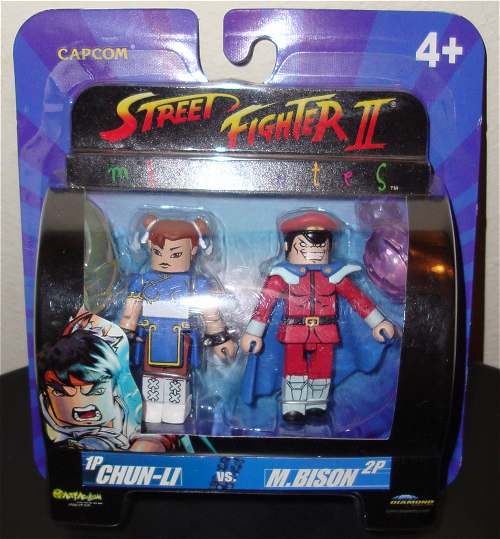 Chun-Li & M. Bison have been crammed into 2-inch bodies, each with 14 points of articulation! 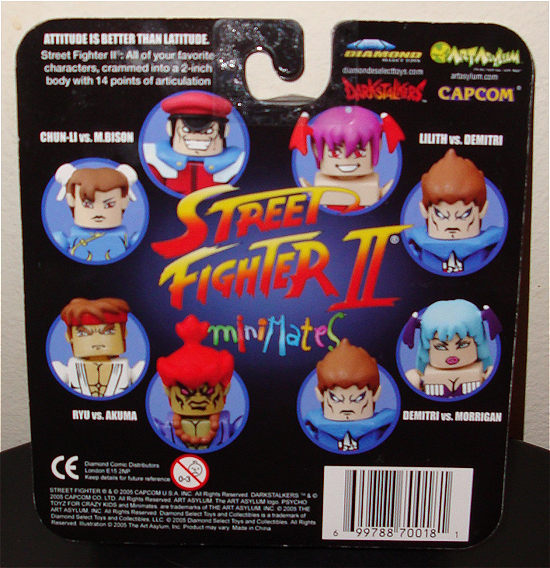 A must have collectable for any old school Street Fighter player! Condition: Box is in very good condition. Minor wear around edges. Condition: Box is in very good condition. 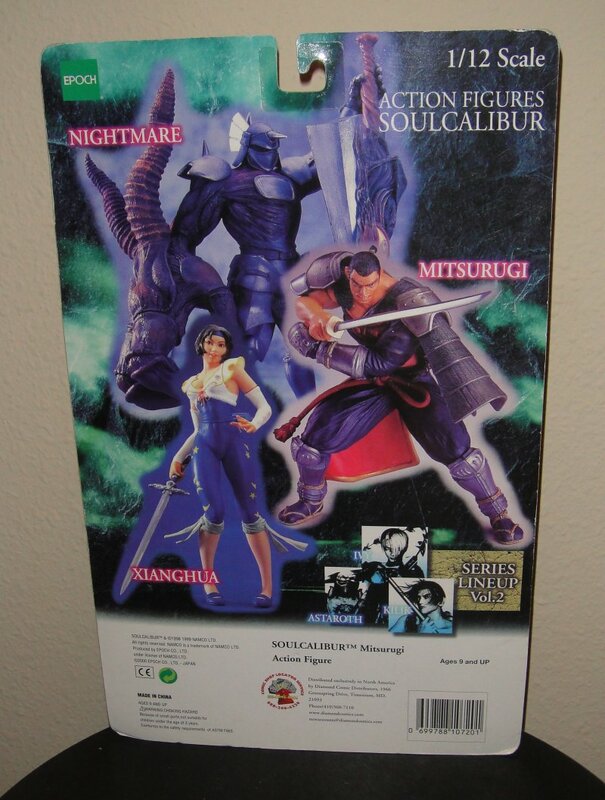 These are 1/12 scale Soul Calibur action figures of Mitsurugi & Xianghua made by Epoch. 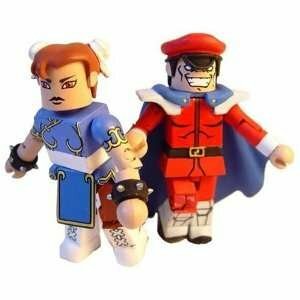 Two figures for one reasonable price! 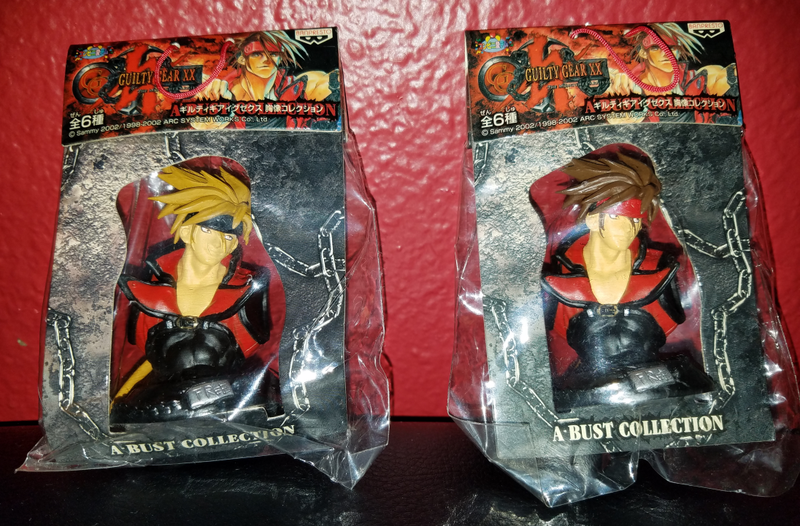 Both figures come packaged with swords. 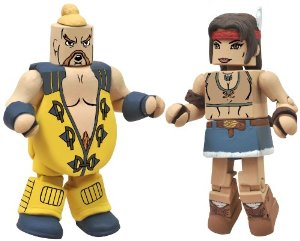 The Mitsurugi figure has alternate "Arthur" head. 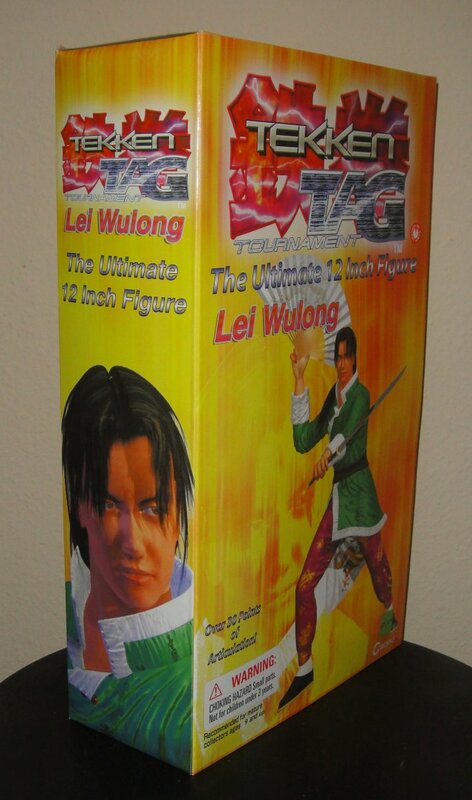 This is a 12" inch tall Lei Wulong figure based on his Tekken Tag Tournament / Tekken 3 appearance. 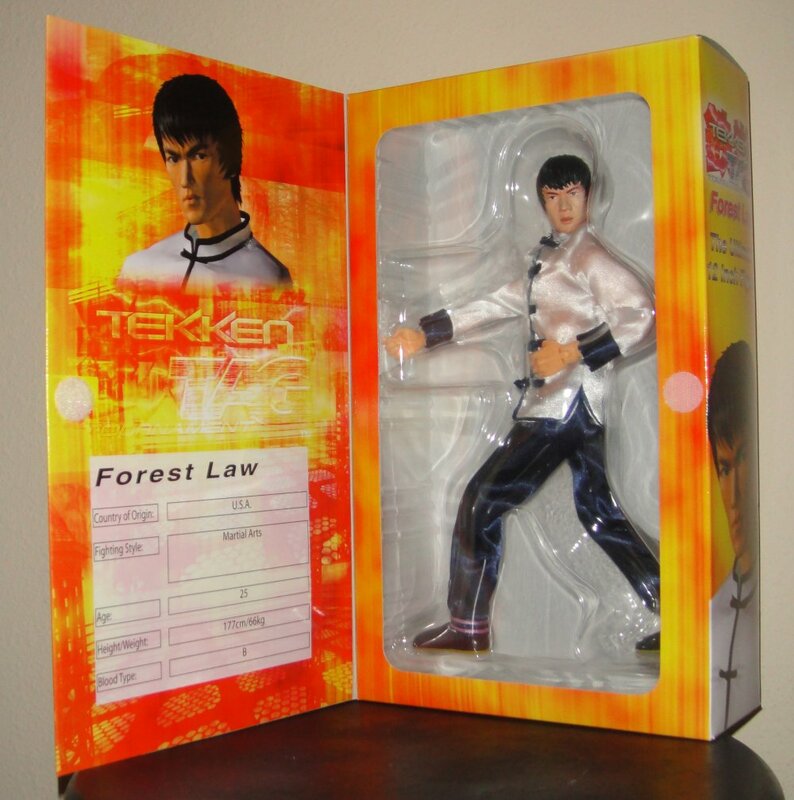 This figure features real clothing, over 30 points of articulation, and is officially licensed by Namco. Condition: Boxes are in very good condition - Light shelf wear. 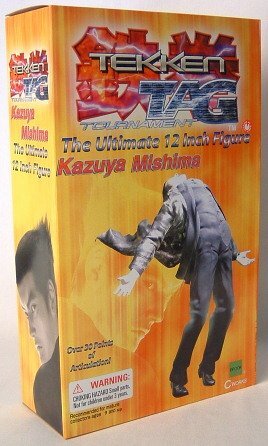 This is a 12" inch tall Kazuya Mishima figure based on his Tekken Tag Tournament appearance in the opening movie. 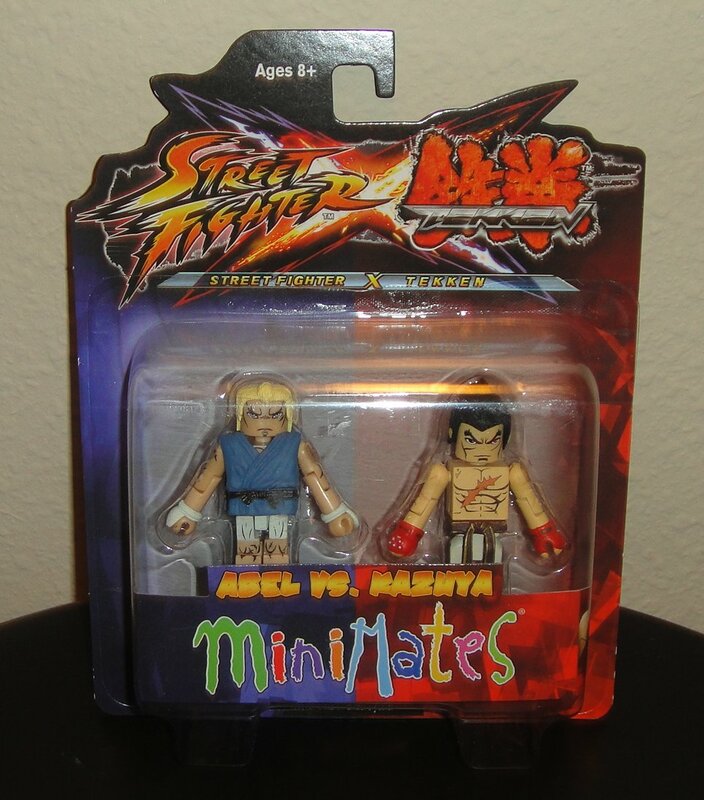 This figure features real clothing, over 30 points of articulation, and is officially licensed by Namco. 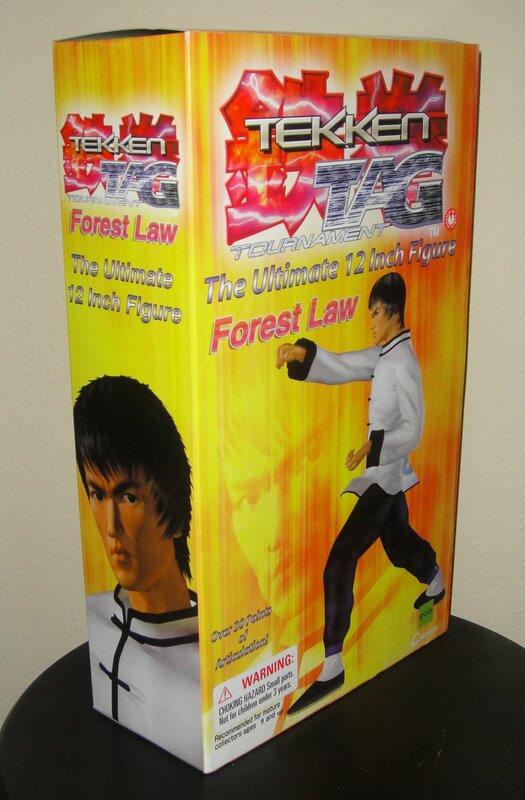 This is a 12" inch tall Forest Law figure based on his Tekken Tag Tournament / Tekken 3 appearance. 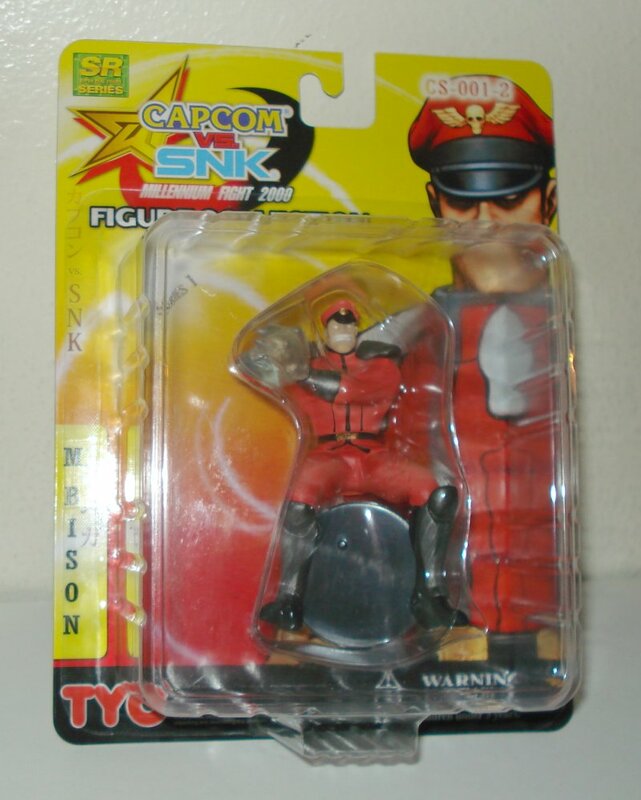 This figure features real clothing, over 30 points of articulation, and is officially licensed by Namco. Condition: Box is in excellent condition.